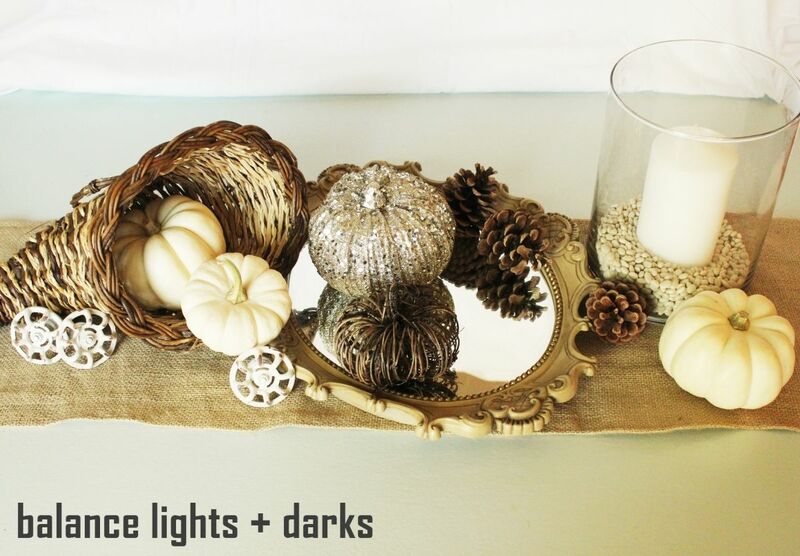 Since Halloween is over, we can now move on to creating fun projects for the fall season or for Thanksgiving! However, since we are getting into the busiest time of the year, you don’t want to be spending days upon days making a project. 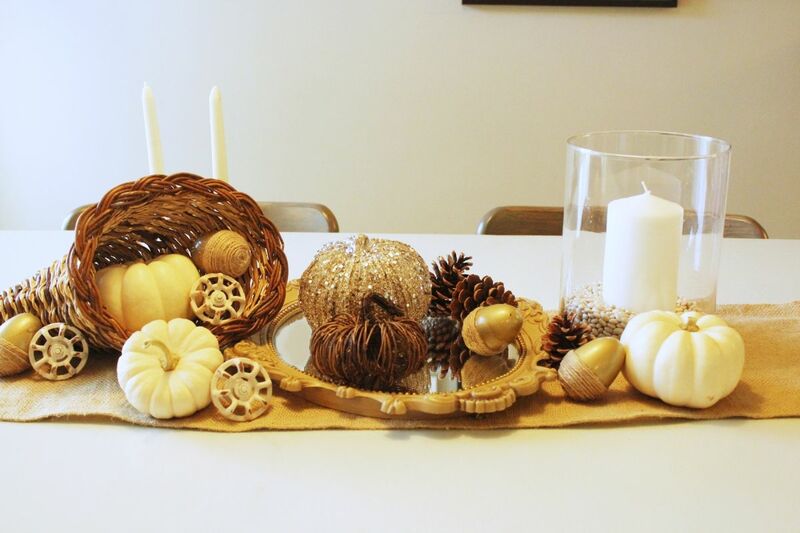 So, today I am going to be showing you how to create a simple fall/Thanksgiving Day inspired home décor piece which can be made in just 3 easy steps. 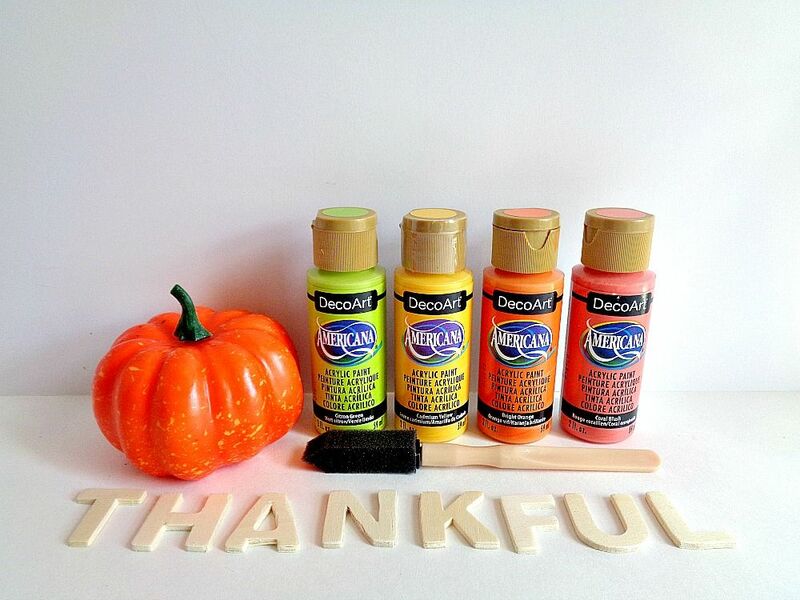 The project I will be showing you how to make is called Bright Thankful Pumpkin Home Decor! Now before we get into the project, I wanted to briefly mention a few things that you should think about before making this project. 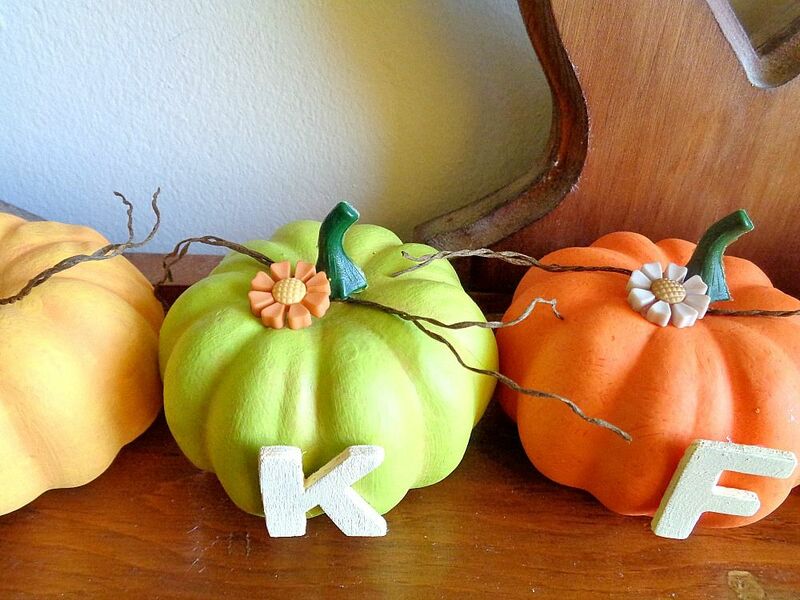 To begin with, this project is all about decorating pumpkins to spell out a specific word. Due to that, you will need to think about what word you want to choose since that will determine how many fake pumpkins you will need. 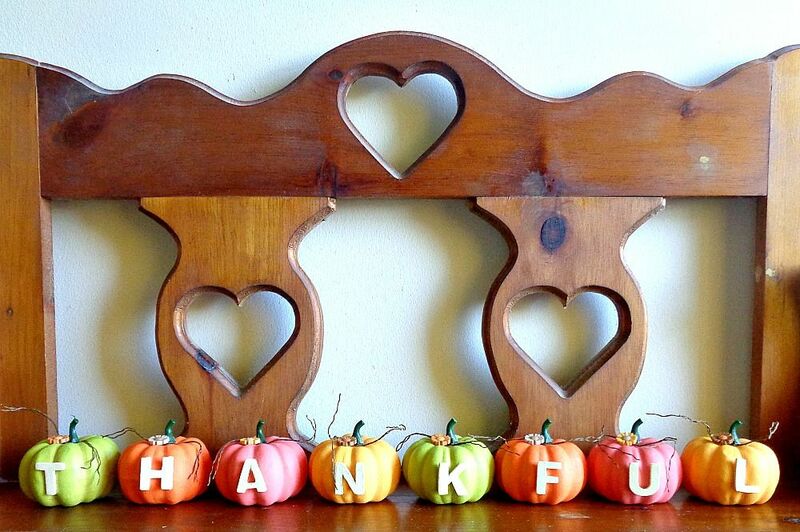 For example, the word ”thankful” is 8 letters, which means you need 8 pumpkins. Second, you need to think about the size of your fake pumpkins. 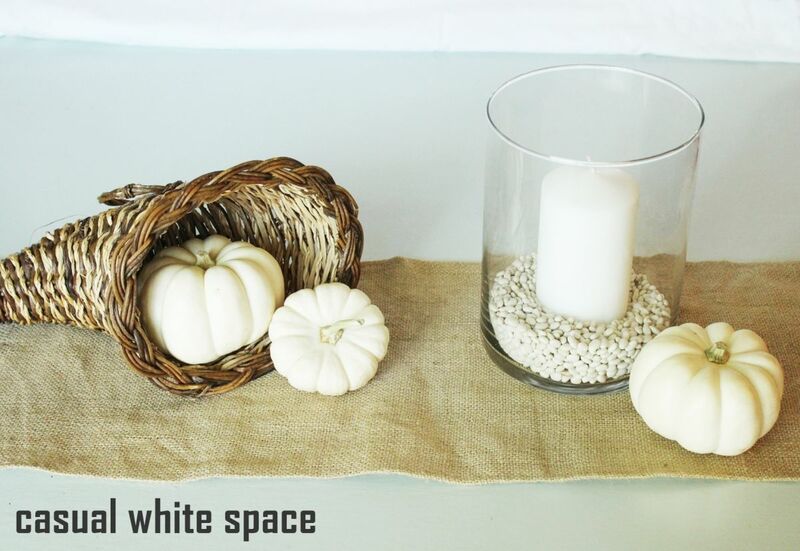 This is important because you want your pumpkins to fit into the space that you want to display them in. 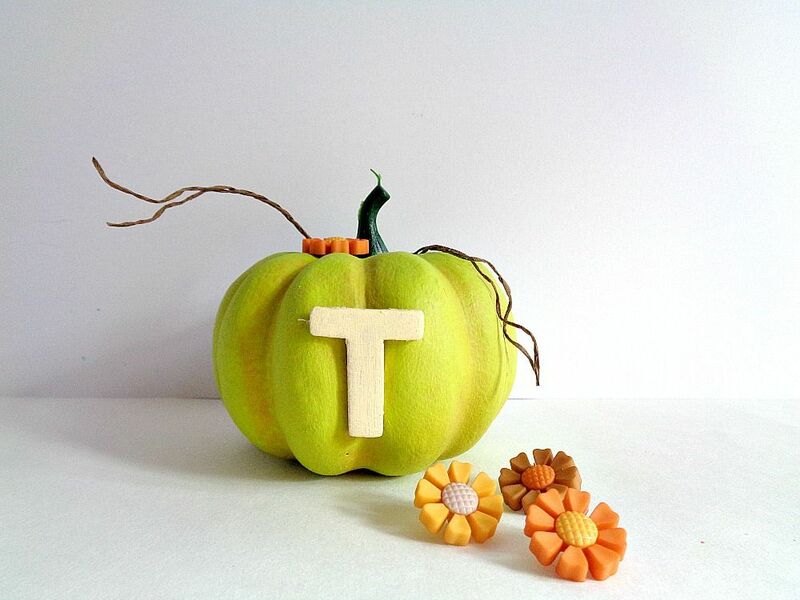 My suggestion is to choose a word that is less than 10 letters and to use mini pumpkins in this project. 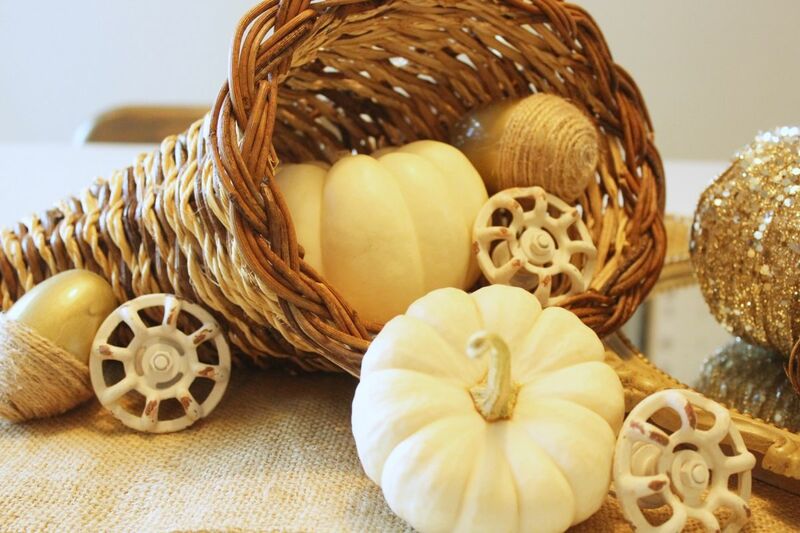 So, to find out how to make your own Bright Thankful Pumpkin Home Decor, keep reading below! 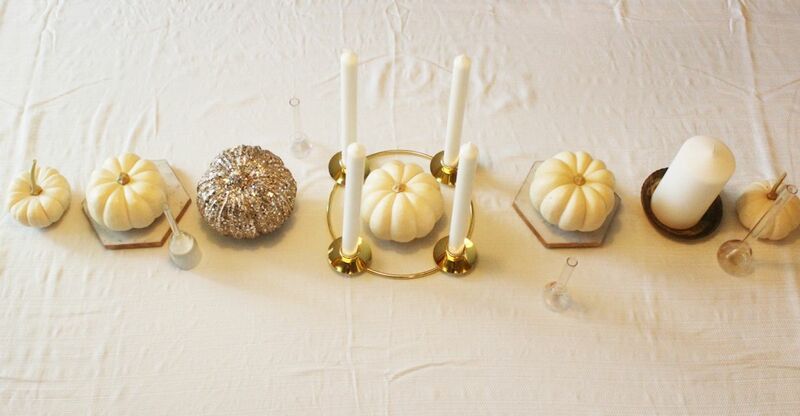 Step 1: Paint each of your fake pumpkins and set them to the side to dry. Step 2: Using your hot glue gun, glue on a wooden letter to your fake pumpkin. Keep repeating this process with your other pumpkins. Crafty Side Note: I painted my wooden letters an ”off-white” before I glued them onto my fake pumpkins. However, painting your wooden letters is an optional step. 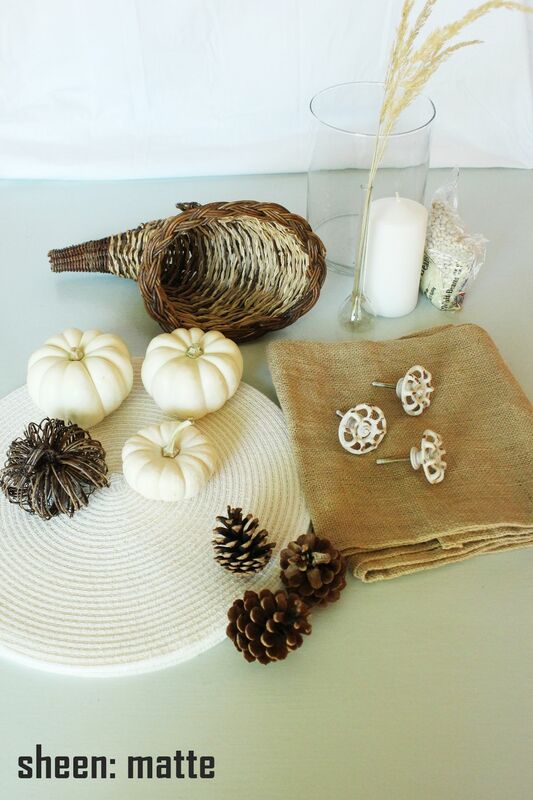 Step 3: To add a little extra pizzazz to your pumpkins, tie on some brown twine around the stem of the pumpkin and hot glue a retro autumn flower to the top. Keep repeating this process with your other pumpkins. 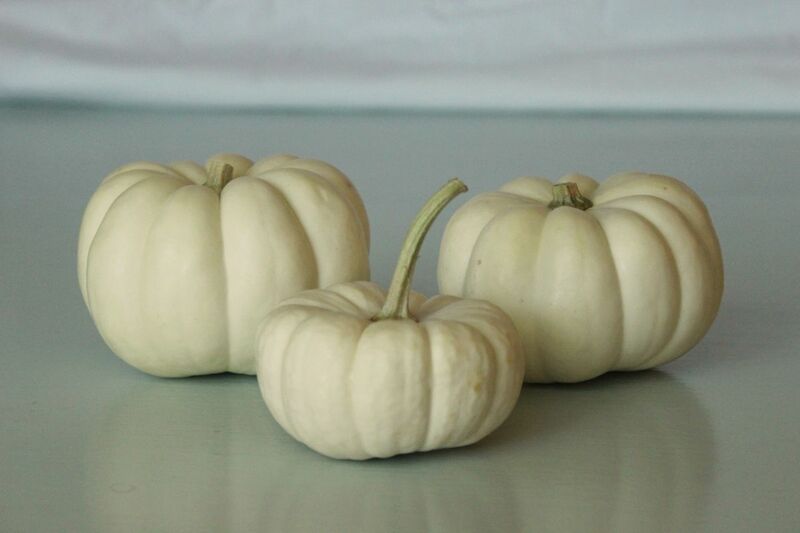 Once all your pumpkins have been decorated, you are ready to display them! As you may have noticed, I chose to paint my pumpkins in colors which are not ”traditional” for the fall season. 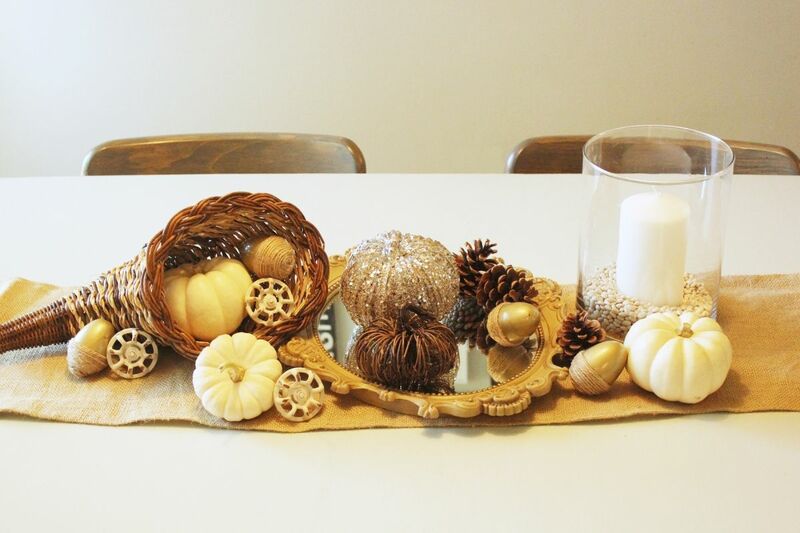 Personally, I have always been a fan of those fall projects that are unique and don’t use traditional holiday/seasonal colors. In this case, I wanted to go with a 60’s or 70’s color scheme. 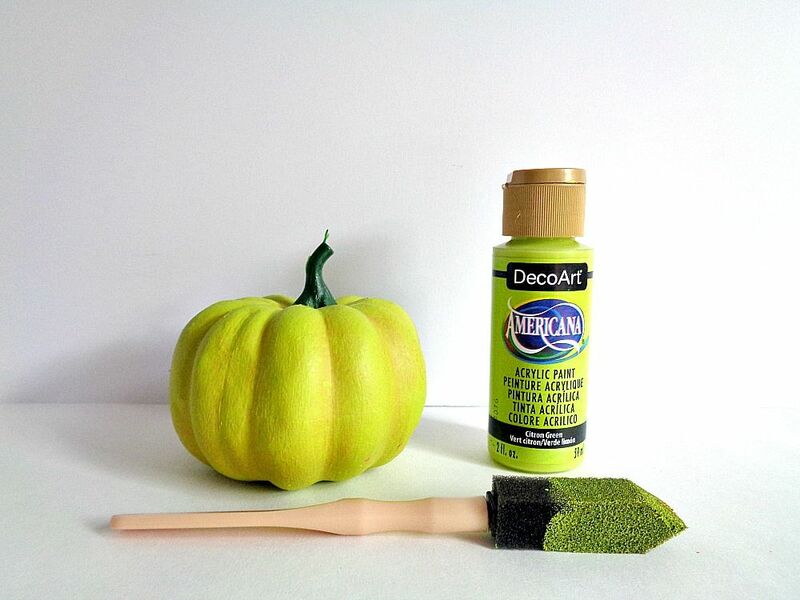 However, since this project is so customizable, the possibilities of decorating your pumpkins are endless! 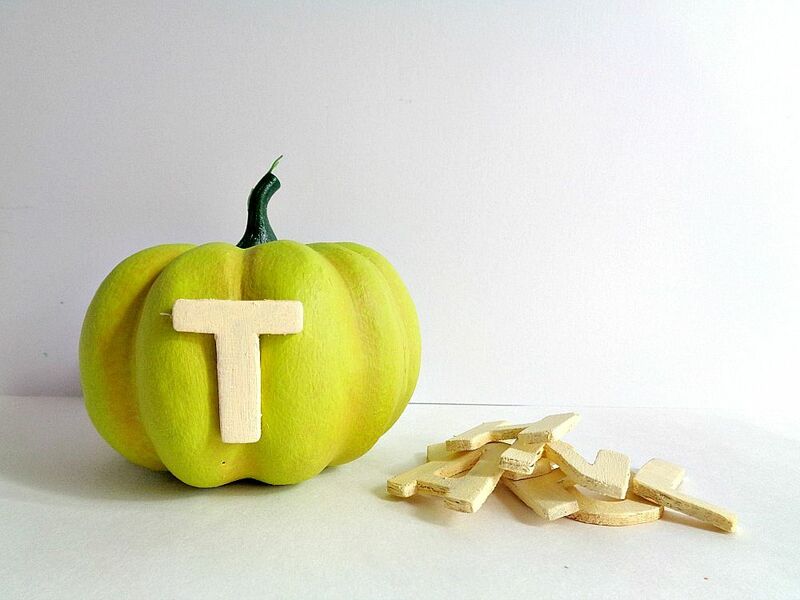 If you made this project, what word would you choose for your pumpkins? 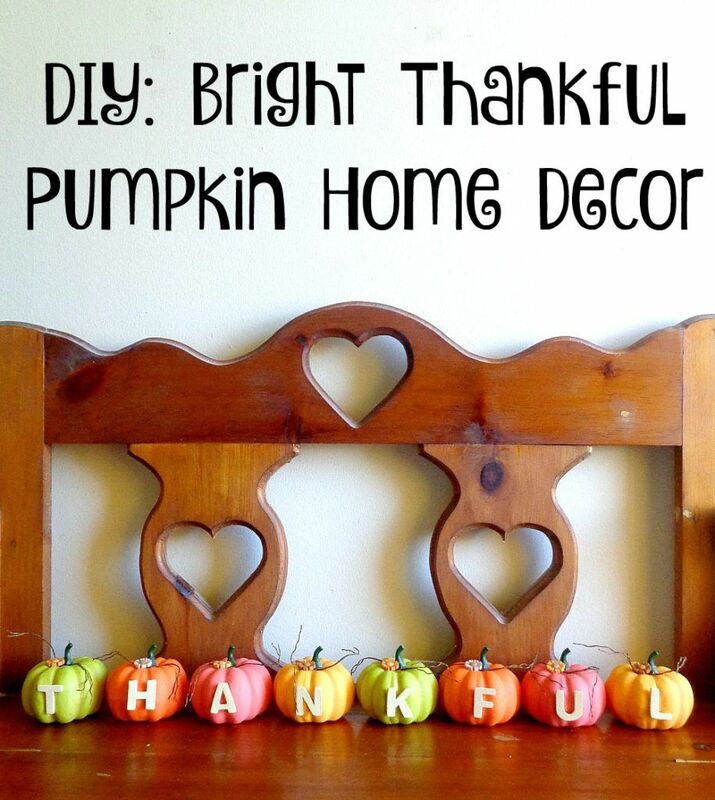 You're reading DIY Bright Thankful Pumpkin Home Decor , originally posted on Homedit. If you enjoyed this post, be sure to follow Homedit on Twitter, Facebook and Pinterest. 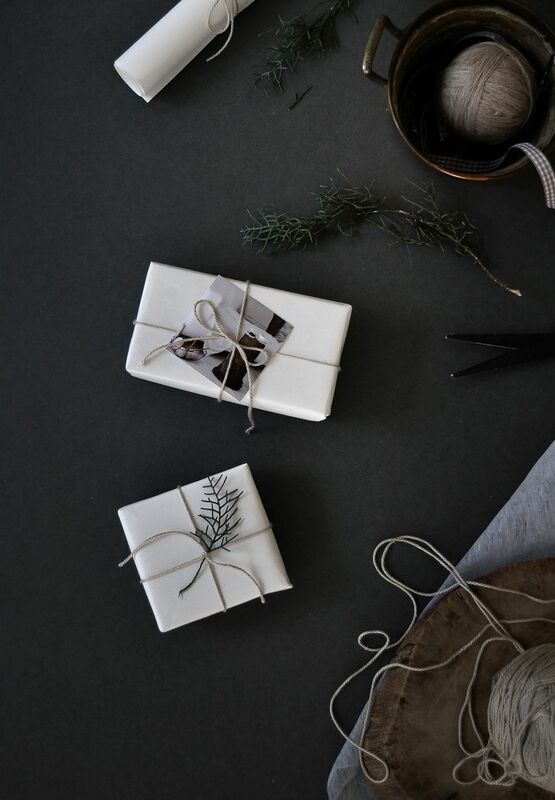 Gifts are more meaningful is they’re handmade because they are truly unique and, in the case of a DIY project, because they’re created and customized specifically with the recipient in mind. So what better way to show your appreciation for your mom this Christmas than with a handcrafted gift that you made just for her? As it’s often the case, it’s not about the cost or even about looks. The fact that you made the gift yourself will be priceless and all the imperfections will become symbols of love and beauty. All that being said, what could you gift a mom? Well, it depends on the mom but we have a few ideas that are hard to resist, no matter who your mom is. Unless you have a very specific idea in mind that would be suited for your mom in particular, racking your brains trying to come up with something can turn out to only be a waste of time. We suggest choosing your Christmas presents for her based on something a bit more general. 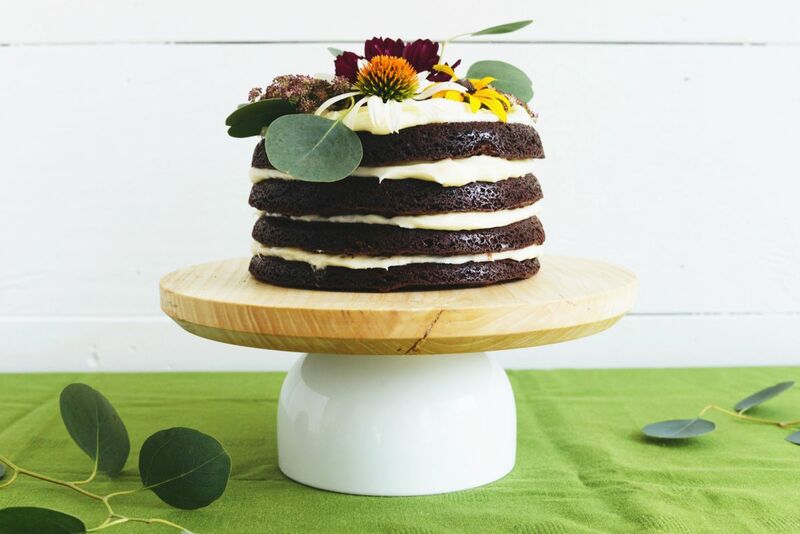 For instance, most moms bake delicious cakes and if yours is one of them then she’ll love a custom cake stand. Show her that she’s as sweet as the cakes she makes with a unique, handmade gift for which you only need a few simple supplies. Snow globes are universally cute and charming and that makes them one of the best options when it comes to Christmas presents for mom. 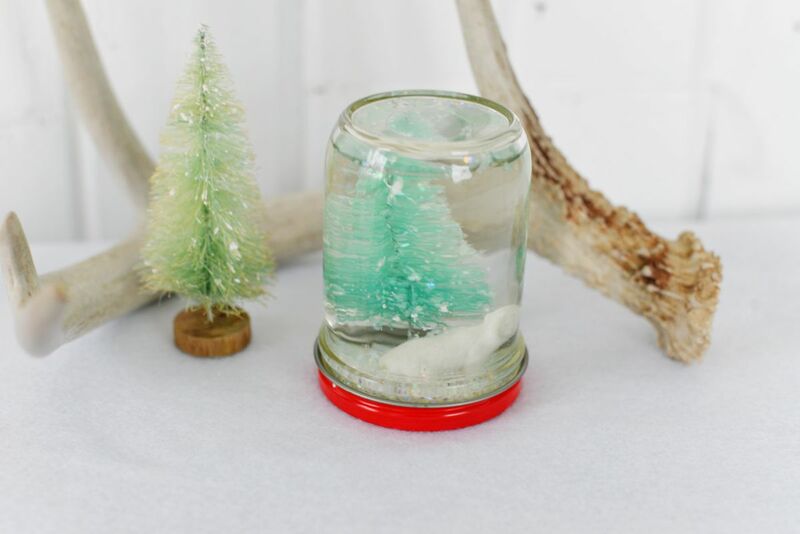 We’re not talking about the snow globes you find in stores but about one which you can craft yourself from scratch. It could be nice to put in an item that holds a special meaning for your mom although the very idea of a handmade snow globe could be enough to send the right message. What about scented candles? 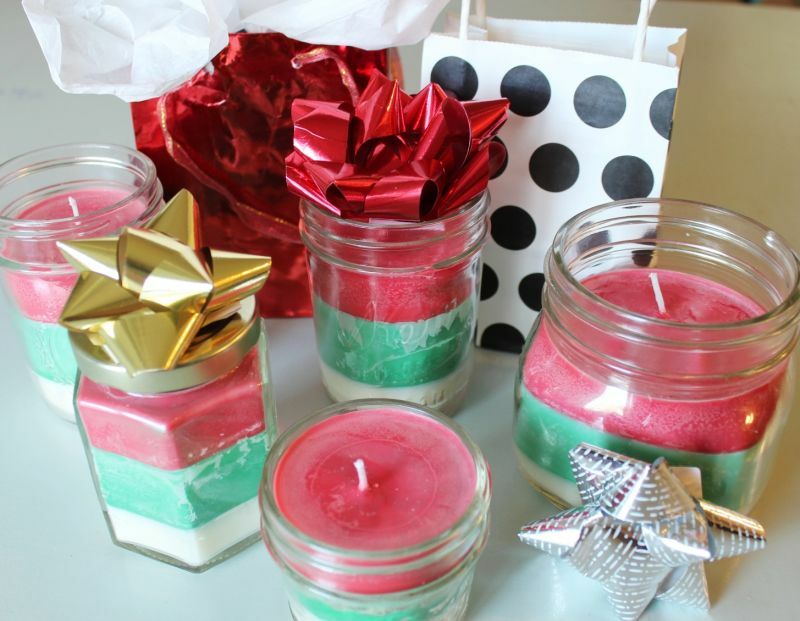 They’re nice Christmas presents for girls in general and if your mom likes them you could use this opportunity to offer her some one-of-a-kind ones made with her favorite scents and colors. 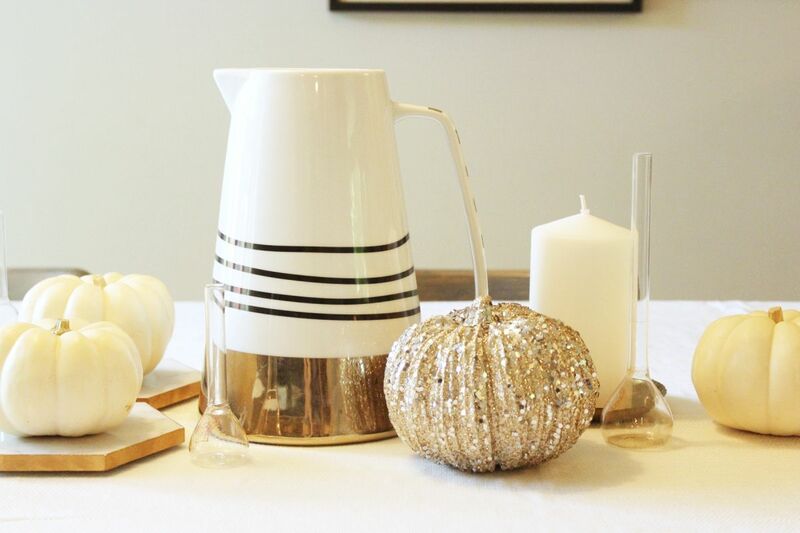 As it turns out, making striped Christmas candles is pretty easy. You just need some small glass jars, soy wax flakes, candle wicks, essential oils, crayon bits and glue. For some reason, moms love plants and turn their homes into indoor gardens. 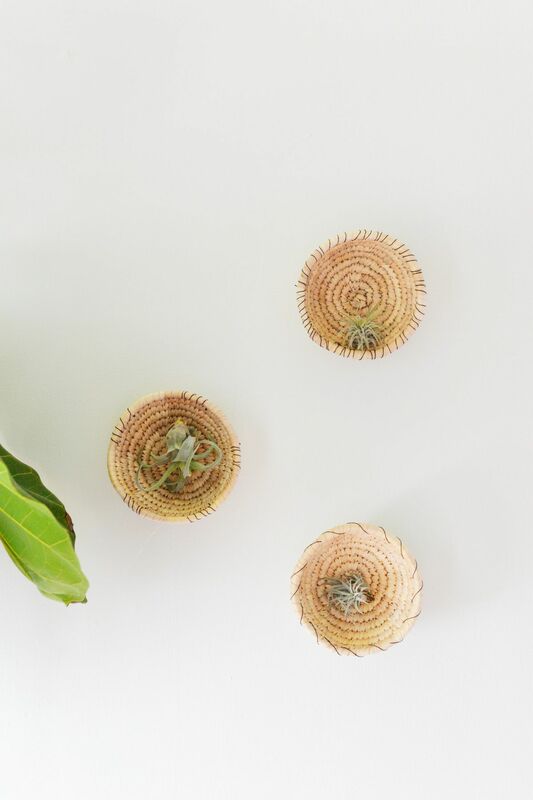 If this sounds like something your mom would do, then check out these basket wall planters. They’re easy to make and you can make as many as you want, as little or as big as you want them to be. Go check out your mom’s collection of plants before you start to see which ones would be suited for these planters or which type of plants she likes so you know what to gift her. Is your mom the practical type? Not everyone likes things that are purely decorative and, in that case, you need to adjust your strategy when picking Christmas presents. No worries though. 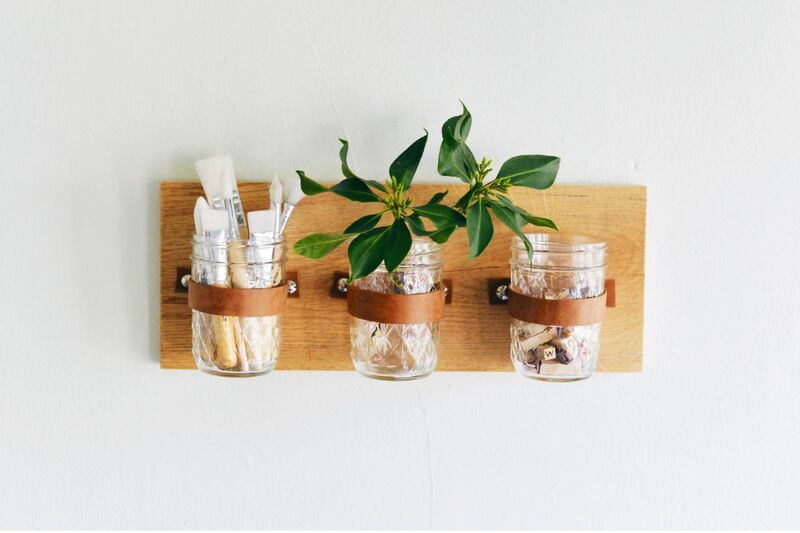 There are plenty of useful things you can craft…like this wall organizer made out of mason jars, a wooden board and some leather straps. It looks chic and it can be used in lots of different ways and spaces. For instance, it can be added to the bathroom, the kitchen or the entryway. A basket is lovely gift idea, especially if your mom likes to knit or if she has a hobby for which she needs a storage container. Of course, buying a basket is easy so you’ll have to make something special if you want it to really show your mom how much you love her. No need to go overboard with this. A simple stitched heart on the basket would be enough so go ahead and get some yarn and a needle. Throw some spools of yarn into the basket as well. After all, offering someone an empty basket is not exactly impressive. We’re not the type to just assume things about people but chances are that your mom spends a bit of time in the kitchen, cooking delicious meals. She’ll definitely appreciate receiving some stylish pot holders as a Christmas present. It’s something so simple and so basic that you can’t really go wrong with it. To make something like this you’ll need fabric so perhaps you can find some in a pattern that your mom likes or in her favorite color. Wall clocks…hardly anyone has them in their homes these days. It’s actually the fact that they’re not longer as useful as they used to be that makes them special nowadays which means they can also be cool gifts. 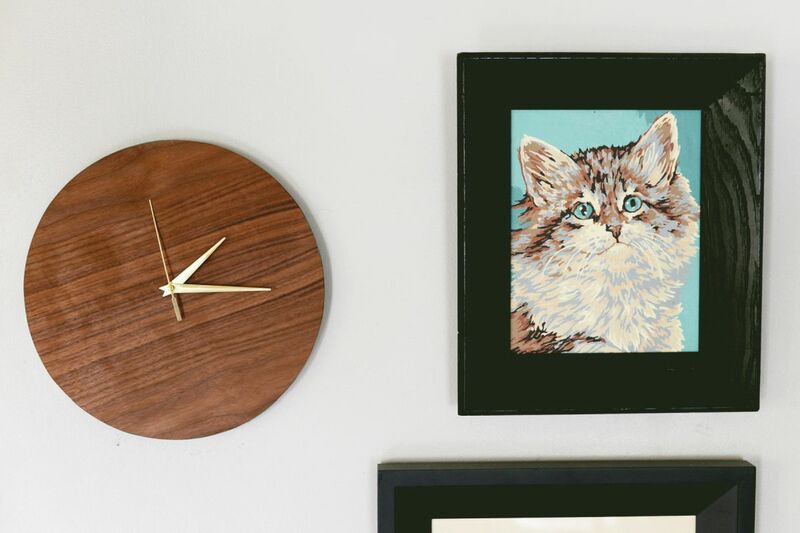 Would your mom love a modern wall clock for her home? You could make her one out of wood and you could customize it in all sorts of nice ways. 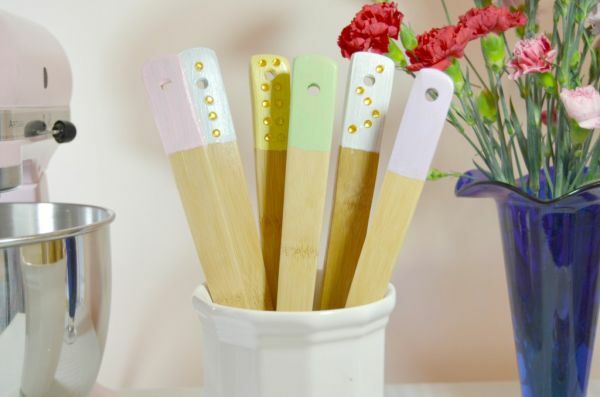 Customized wooden utensils are lovely Christmas gifts and moms are the perfect subjects. There are various different ways in which you can make these. You can dip the handles in paint and you can also glue ornaments on them. It doesn’t have to be spoons or kitchen utensils. If your mom likes to paint, maybe you could gift her some brushes. You can never have too many pillows, especially when they’re all special and meaningful in some way. What we’re trying to say is that you can pretty much be certain that your mom would appreciate getting a custom pillow as a gift, especially if it’s something you made or customized yourself. 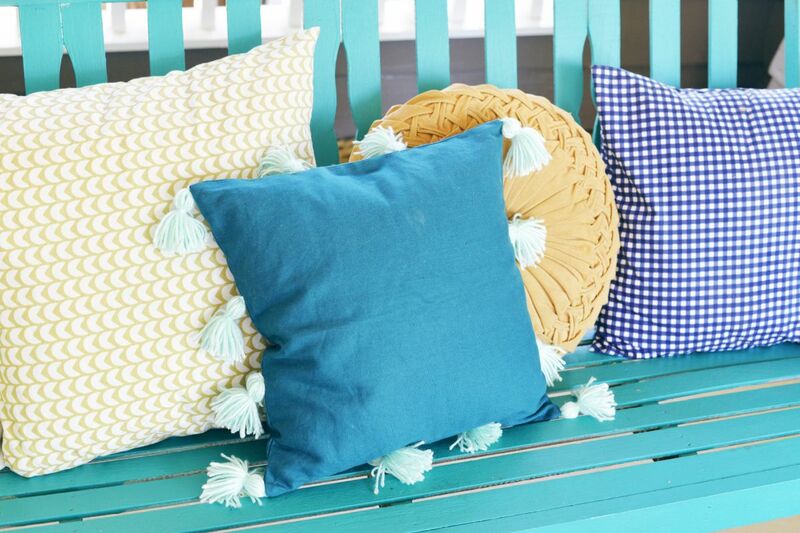 A simple tassel pillow would be a lovely idea. To make that, you’ll need a pillowcase, a pillow that fits inside, some colored yarn, a needle and thread. Give your mom a stylish candle holder as a Christmas gift and she could use it as a table centerpiece for the winter holidays and then as a decoration for the shelf or mantel. 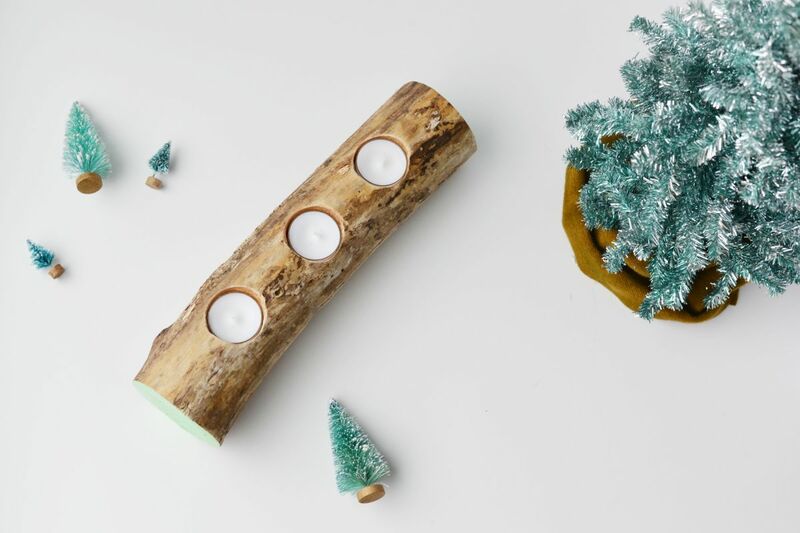 You can make a candle holder out of a thick tree branch. 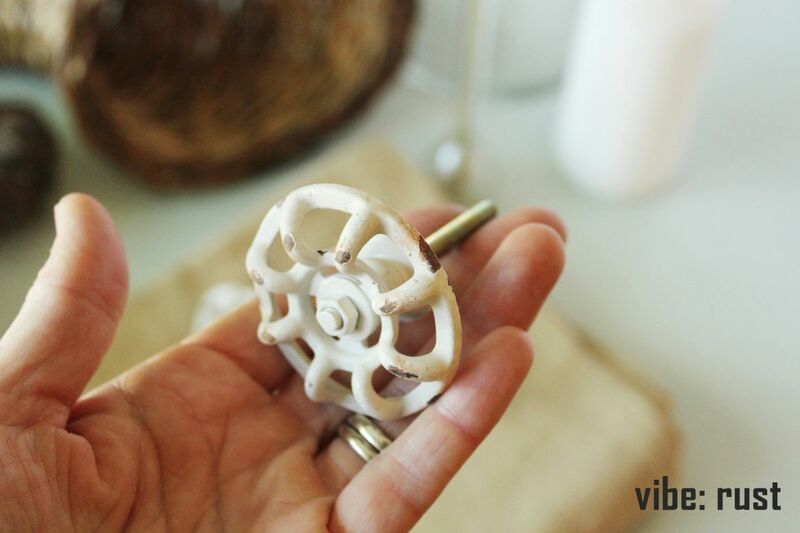 You’ll need a drill and a suitable drill bit, tea lights, paint, sandpaper and some lacquer or polyurethane finish. It’s a very simple project and plenty of ways in which you can make it special just for your mom. Here’s something else you could make for the Christmas family dinner, a gift which can then be reused lots of times: walnut veneer chargers. It may not sound like something special but we think that it’s the simple things that make life more beautiful and enjoyable. Curious what you’d need for such a project? Not much…just some walnut wood veneer, sandpaper, adhesive, some paint and a bit of lacquer. Of course, you’ll also need a saw to cut the veneer with. 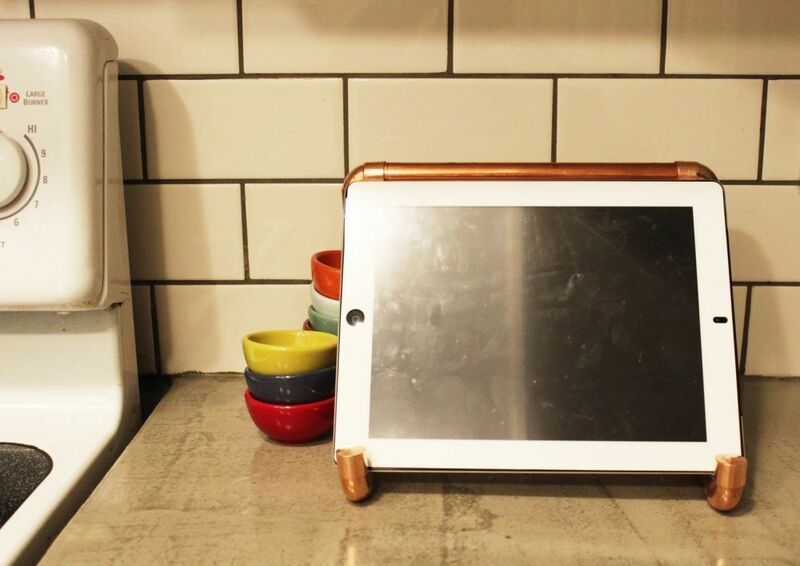 For the modern mom that keeps up with the latest technological improvements, we suggest a custom-made iPad stand. You could make one out of copper pipes. This is actually something you could craft for yourself as well. Check out our tutorial to find the full list of supplies that you’ll need for this craft and keep in mind that you can always personalize your crafts so consider using some paint or making this gift special in a different manner. What about something decorative? Surely your mom would love to have something to look at which can remind her of you. 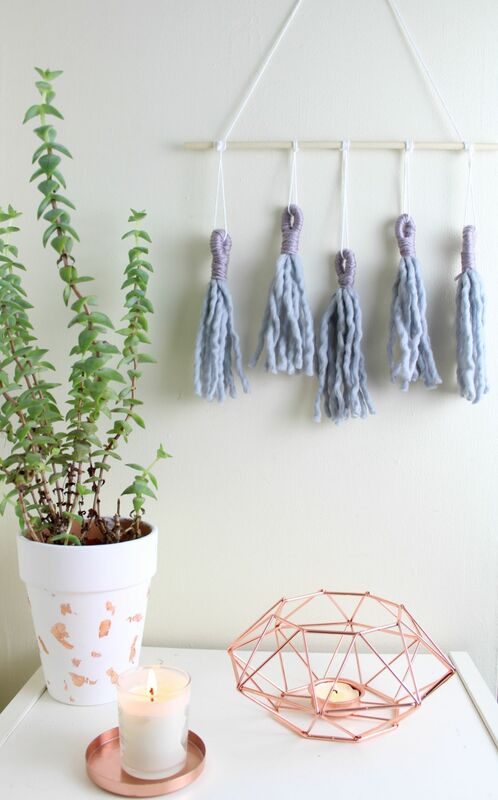 A tassel wall hanging decoration could be just the project you’re looking for. It’s easy to make and it’s the type of ornament which makes homes feel cozy, especially in winter. Here’s what you’ll need for this project: a wooden dowel, some chunky yarn, standard yarn, white yarn and scissors. 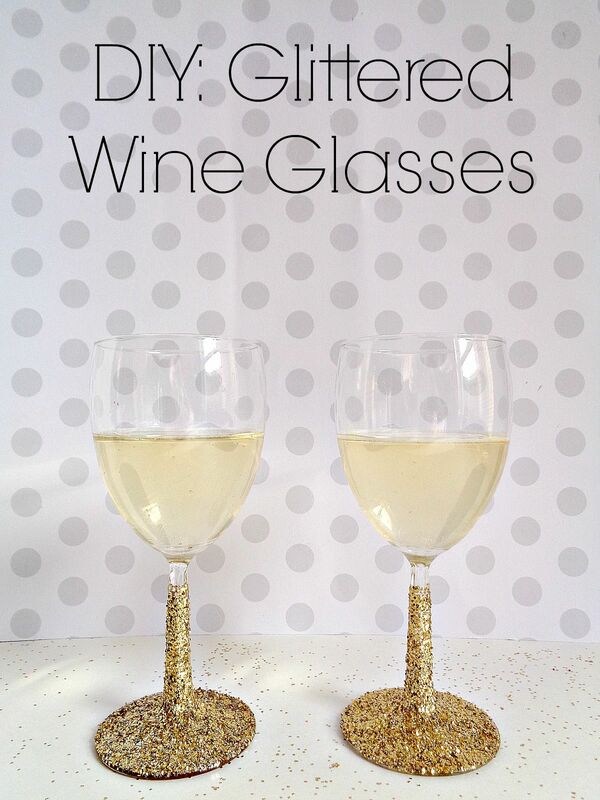 There are plenty of ways to mix looks with function, much like these glittered wine glasses do. A set of personalized glasses is a wonderful idea for a Christmas gift and someone your mom could share with those she loves. Of course, not everyone is a fan of glitter but you can replace it with simple paint if you prefer something less sparkly. If you want you could also tape to make a striped design. Storage baskets are always practical and you can use this as inspiration for this year’s Christmas present for mom (or for someone else you hold special). 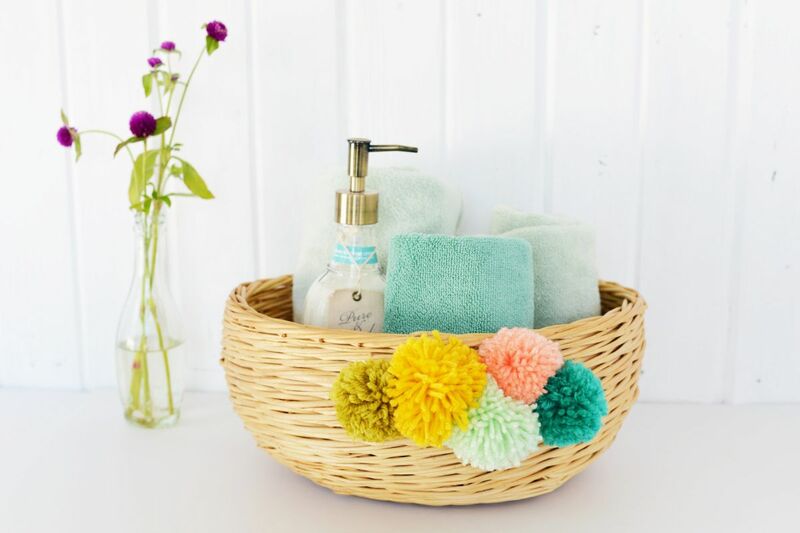 Decorate the basket with colorful pom-poms made of yarn. You could make them in different colors and sizes and then cluster them all together at the front side of the basket using thin floral wire. Of course, you can choose to place them in a different manner. 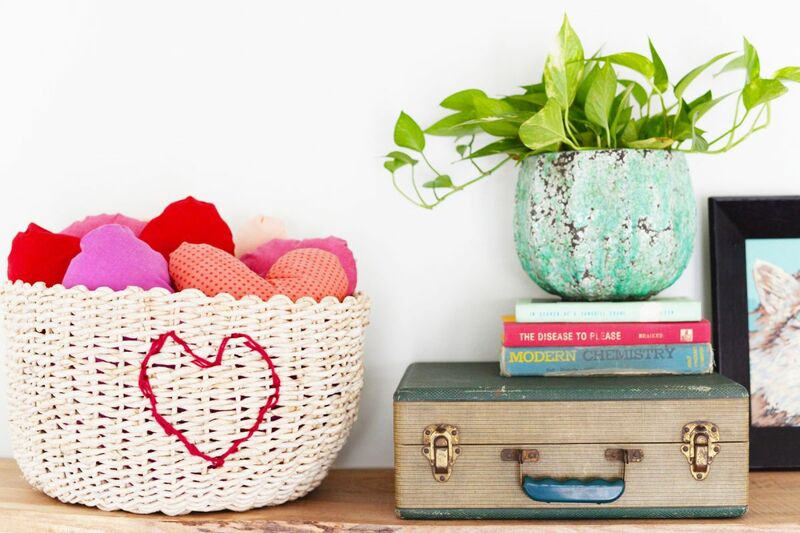 Think of this pom-pom basket as a source of inspiration. 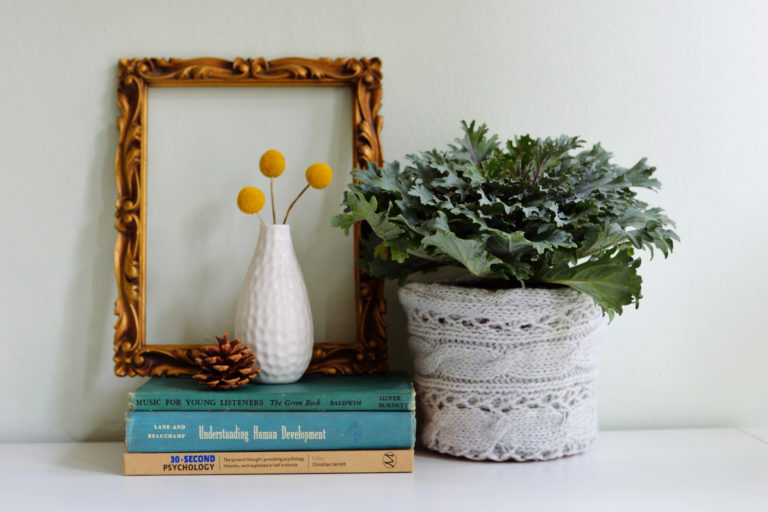 You don’t need to know how to knit to make a planter cozy although this could be an opportunity to ask your mom to teach you the technique so you can make this from scratch. For now, let’s stick with the easier version: a sweater planter cover. To make it, you’ll need an old sweater, a pot (preferably a cylindrical one), a sewing machine (or a needle and thread) and pins. Don’t forget about the soil and the plant. Offering someone a bunch of cork trivets may not seem like much but this is actually the type of gift that you get to appreciate every day simply because it’s so useful and practical. Still, you should make it special. After all, your mom is a very special person. Make the trivets yourself. Cut them out of cork sheets or a cork roll in whatever shape you want. You could, for instance, make some leaf-shaped cork trivets like these ones. Terrariums are great gifts. They’re fun and easy to make and there’s an infinity of ways in which you can personalize them. How would you like to offer your mom one as a Christmas present. You have to put it all together yourself otherwise it wouldn’t hold any special meaning. You can put in a few pebbles, some soil and a small plant or you can decorate it with moss and tiny ornaments. You can also make a geometric wooden base for your terrarium. Does your mom already have a jewelry stand? If she doesn’t, you could make one and give to her as a Christmas present. 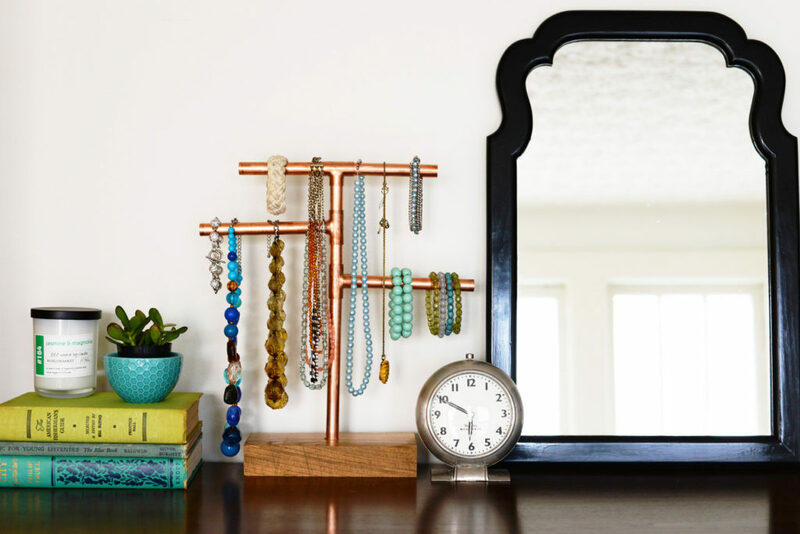 There’s a lovely copper pipe jewelry stand that we featured a while ago and it would be the perfect project for this occasion. It’s relatively easy to make and you can give it any shape you want or make it as big or as small as you want, depending on the size of your mom’s jewelry collection. Not a fan of working with copper pipes? 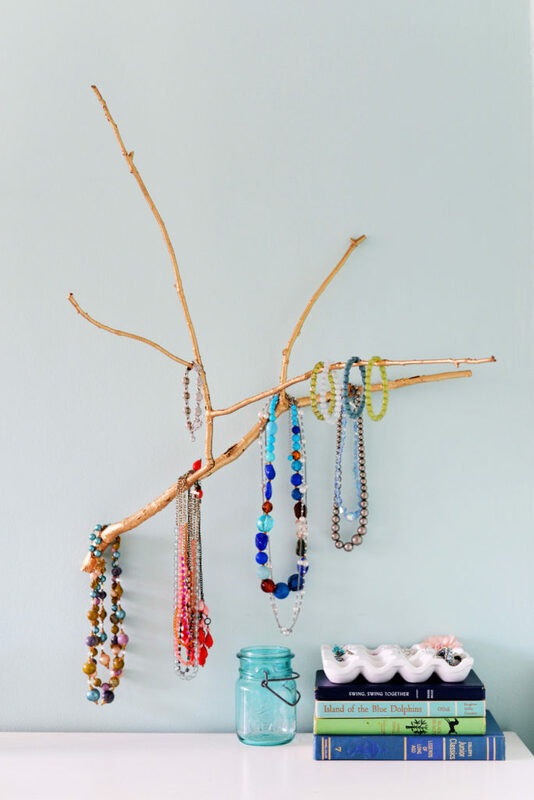 Then how about a tree branch jewelry holder? It’s an even easier project than the one before. The most important part is finding a suitable branch. It has to have the right size and shape. Clean it, pre-drill the holes for the screws and spray paint it. You can also decorate it with some colored yarn or with washi tape. Since we started discussing jewelry holders, let’s check out one more. This time it’s something quite different than what we mentioned so far: a spice rack turned into a jewelry holder. 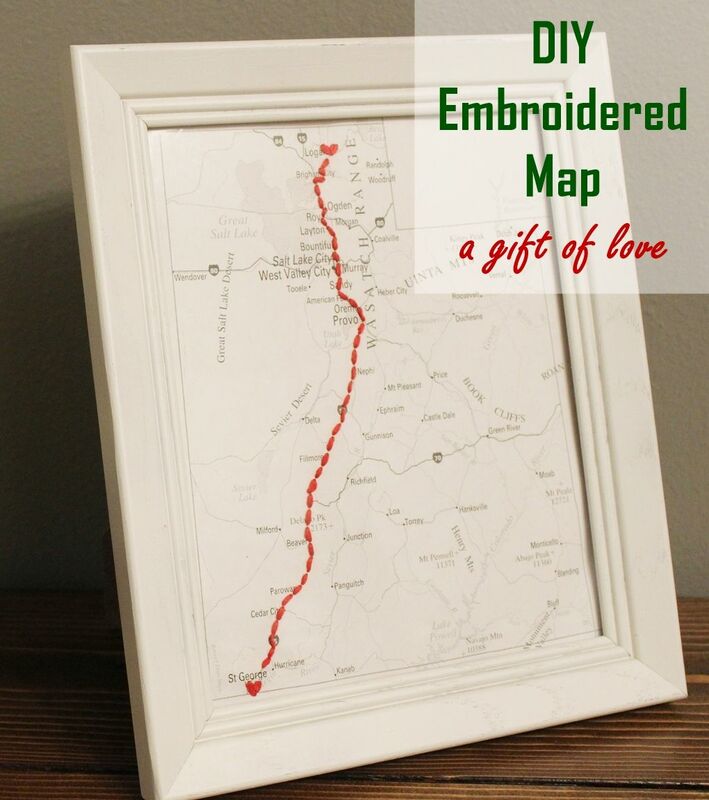 The idea is ingenious and perhaps even perfect for the Christmas gift you had in mind. 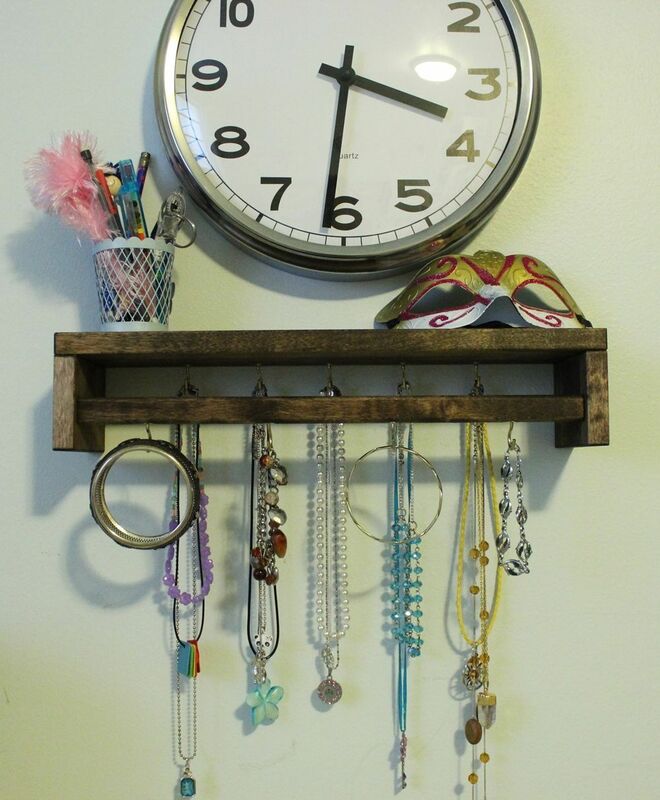 To make this, you’ll need a Bekvam spice rack from IKEA, some small hooks, spray paint and a drill. We talked about some interesting ways in which you can customize a planter but what if you were to actually make the planters yourself? That could be a cool gift to impress your mom with. 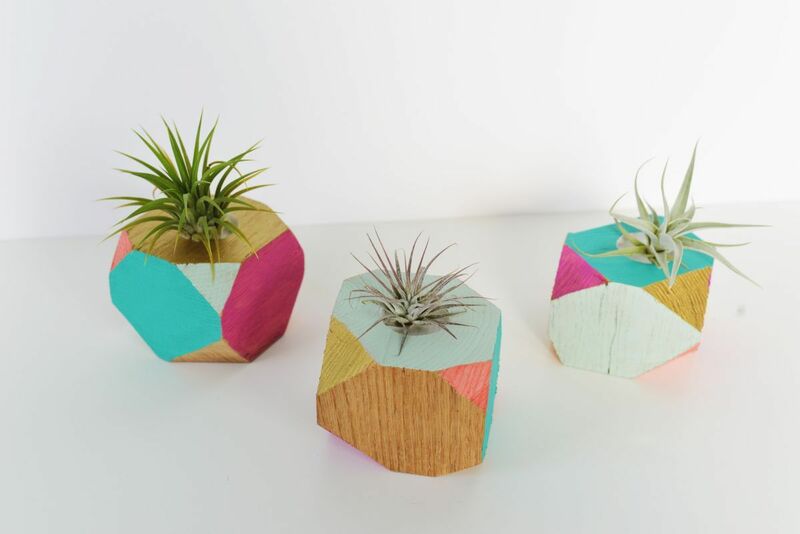 You could make some lovely geometric planters out of wood and they’d be great for air plants. start with some wooden blocks and a drill with a large drill bit. You’ll also need some sandpaper, a saw and some paint in various colors. Don’t forget the plants. Coasters – another universally great gift which can be made special in tons of great ways. 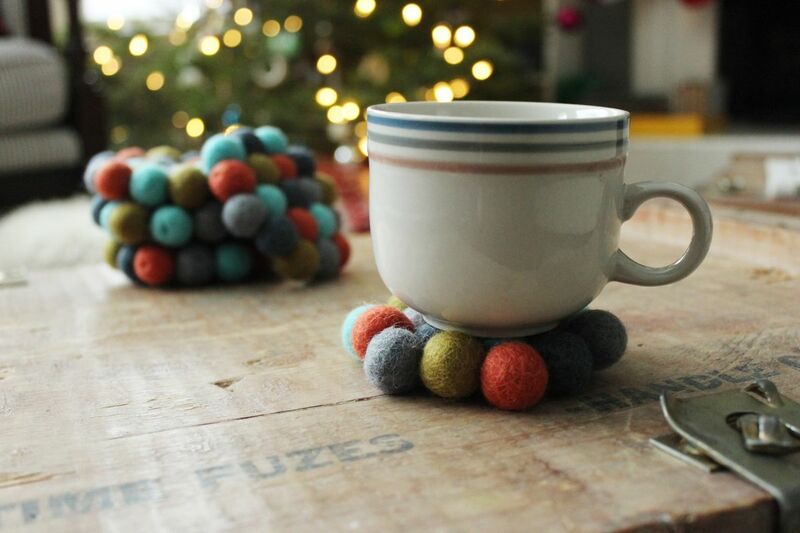 Check out these felt ball coasters. Aren’t they adorable and simply perfect as a Christmas present? To make one of these things you need 19 balls of wool felt, each 2 cm in diameter, some heavy-duty thread and a large needle. Mix and match various colors to create beautiful combos. We can think of at least three ways in which you can make this gift special. We’re talking about an embroidered map. It’s a very personal gift which you can share with your mom or someone special this Christmas. You can personalize it with the locations that the person you’re offering this to visited over the years, with the route of a great vacation that they shared with you or with the route of a future vacation which you’re planning for her or the entire family some time in the future. Another great way to show your mom how much she means to you is with handcrafted wall art, like a painting or a collage you made yourself. Need some inspiration with that? 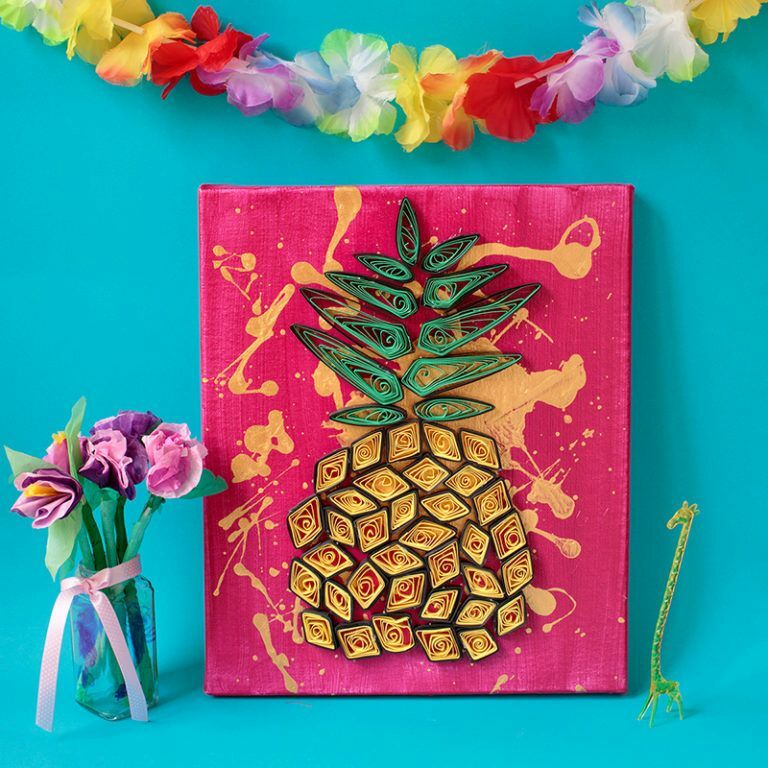 How about this pineapple wall art piece? It’s colorful, funky and pretty special. If pineapples aren’t exactly relevant in your case, look for other ideas which you can use to make something similar. Right you probably have a pretty good of what your next Christmas gift for your mom will be so you should get all the supplies ready and start crafting. Make sure you make it look presentable when you’re done? 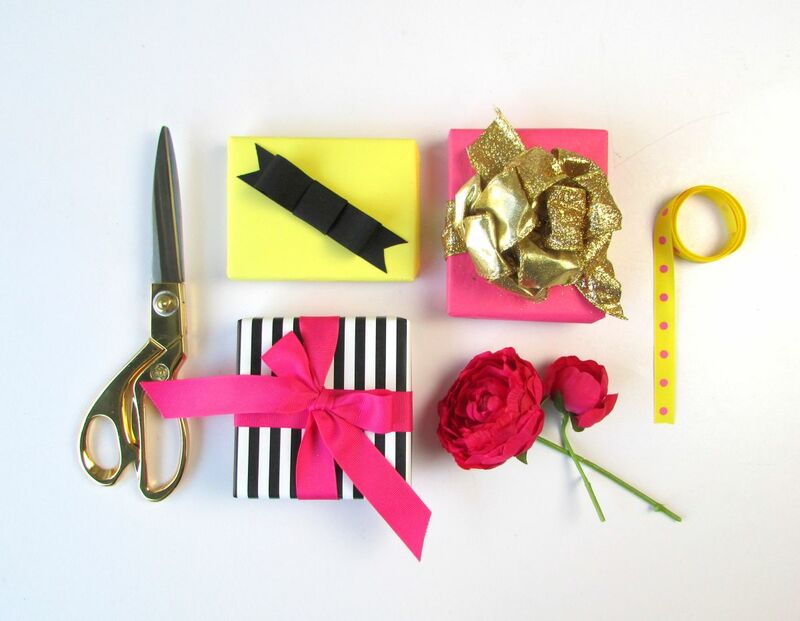 Do you know how to wrap a gift or even how to make a bow? Surprisingly, there are many more options than you probably imagine so go ahead and check some. It doesn’t have to look perfect. Just like the gift, it should be all you. You're reading 26 Christmas Presents For Mom. Time To Get Crafty , originally posted on Homedit. If you enjoyed this post, be sure to follow Homedit on Twitter, Facebook and Pinterest. 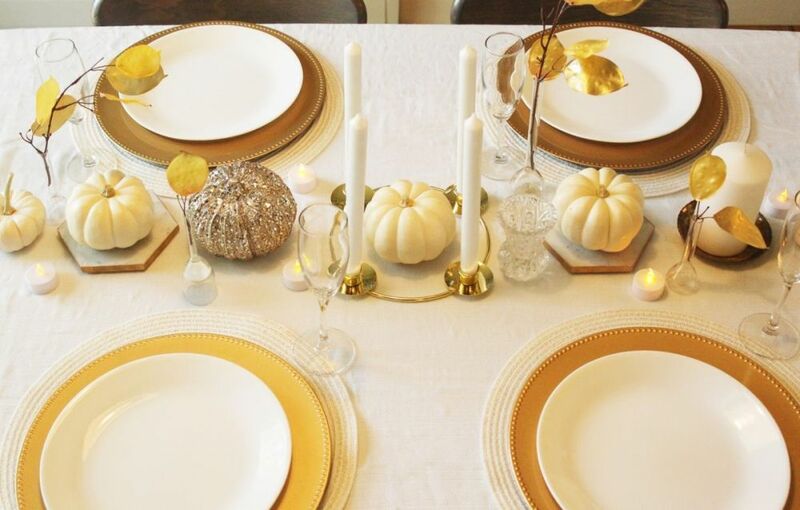 With the Thanksgiving season approaching, you may have begun considering what your Thanksgiving table setup will be this year. If you’re hosting the meal, you likely could use a little inspiration for coming up with a beautiful, unique, and (perhaps above all) simple way to decorate the tablescape. Good news: Those sweet little white pumpkins can be your jumping-off point, and a gorgeous, inviting Thanksgiving centerpiece is not too far away. 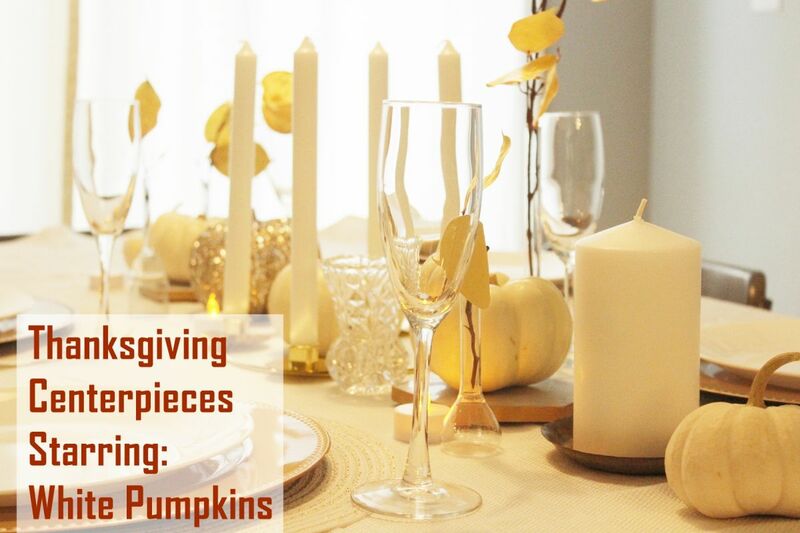 In this article, you will see a step-by-step method of putting together a Thanksgiving centerpiece with white pumpkins. The first is a more rustic look, the second is more classic. Either way, you can choose from the collection of photos here what details suit you for your own style, space, and holiday experience. Enjoy. 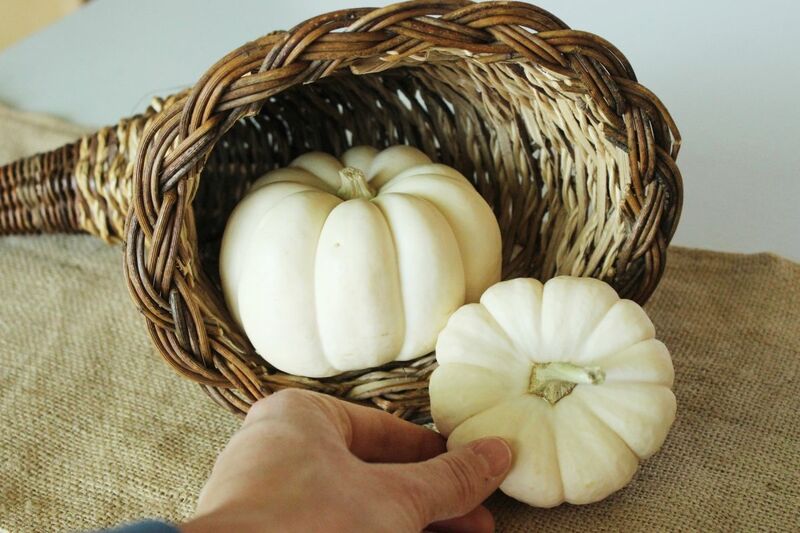 Mini white pumpkins are readily available at this time of year, from farmers’ markets to grocery stores, you’re sure to find the sizes and shapes you love. These simple creamy beauties are a lovely centerpiece catalyst – white to lend a subtle elegance to the table, and warm enough to feel like fall. 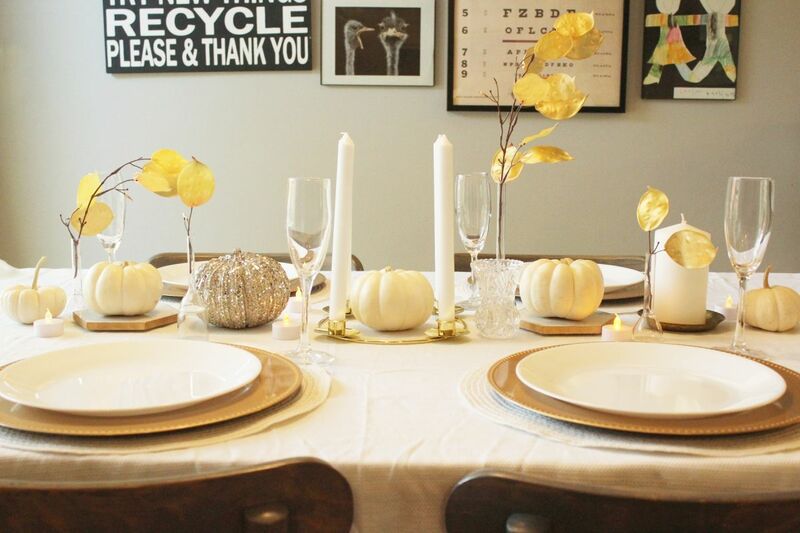 The primary thing to remember about rustic Thanksgiving décor is, in a word, texture. 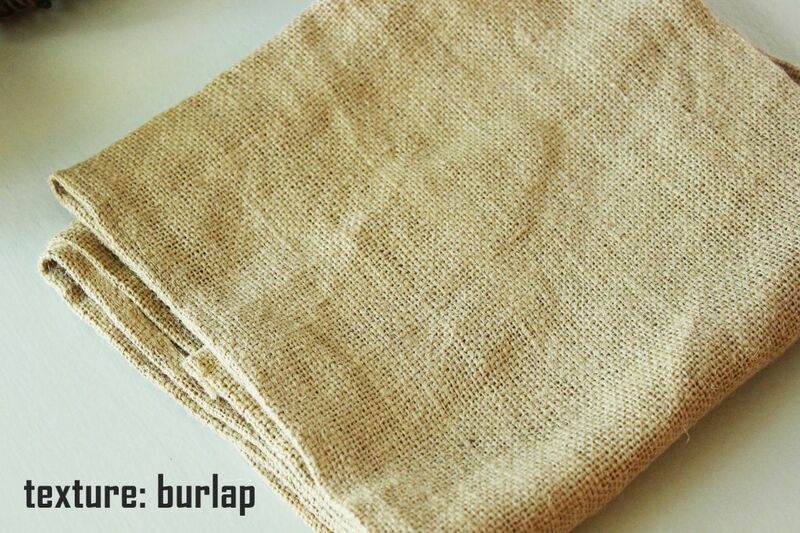 Burlap provides a lovely loose-weave texture. 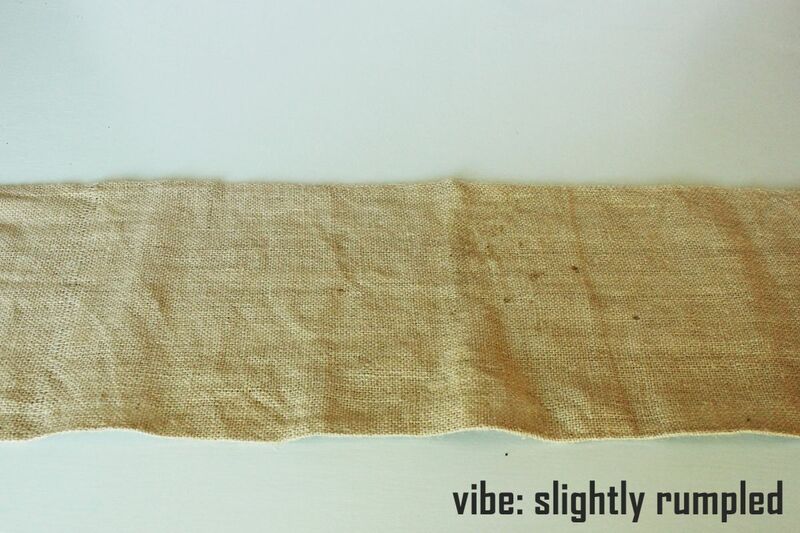 There are a variety of color options available in burlap, but natural always lays a beautiful foundation. 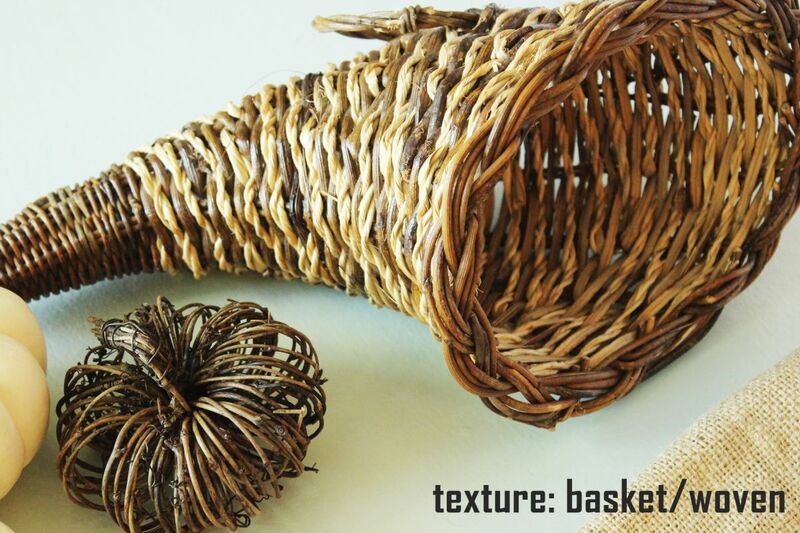 Gather items throughout your house that resemble basket weave or grape vines. 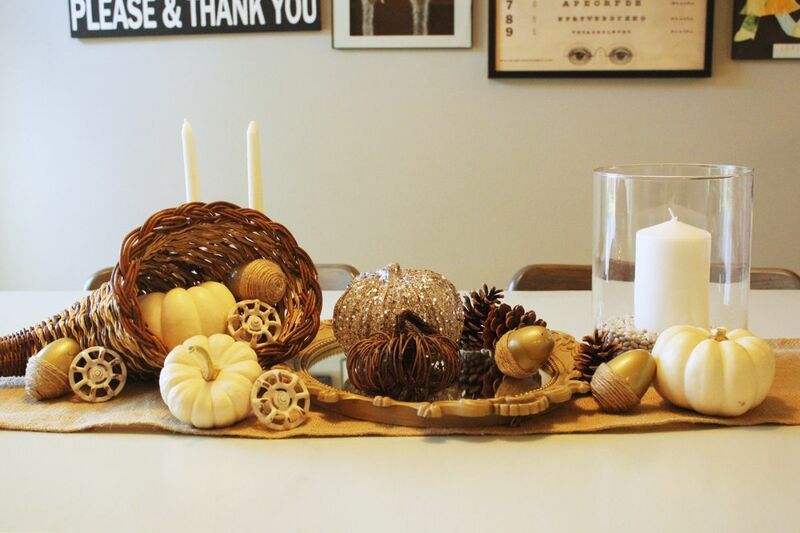 A woven cornucopia works beautifully on the Thanksgiving table. 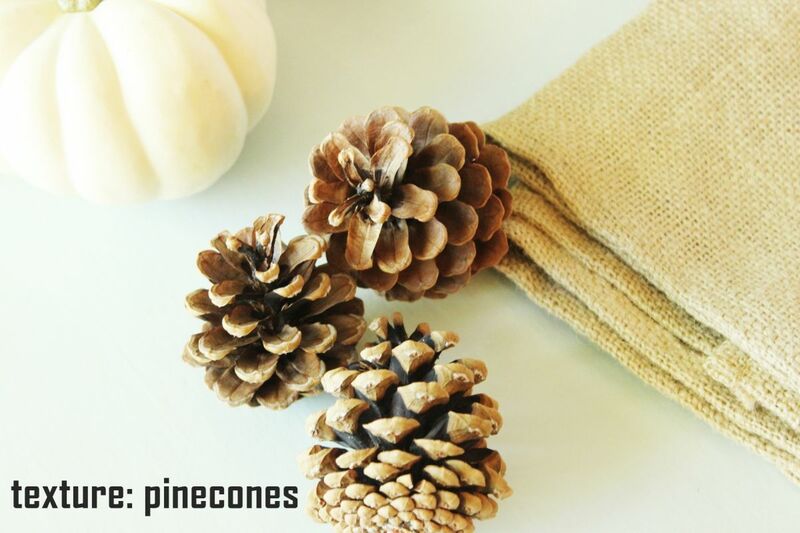 If you can’t find baskets or woven items that you love, consider going outdoors and find a few of Mother Nature’s natural decorations – pinecones are at the top of this list. 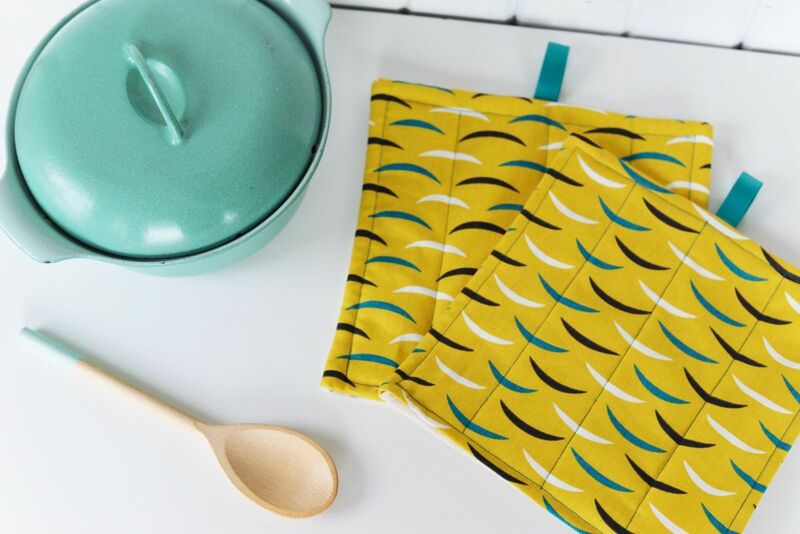 Make sure you wash them gently in hot water if you’re going to use them on your dining table. 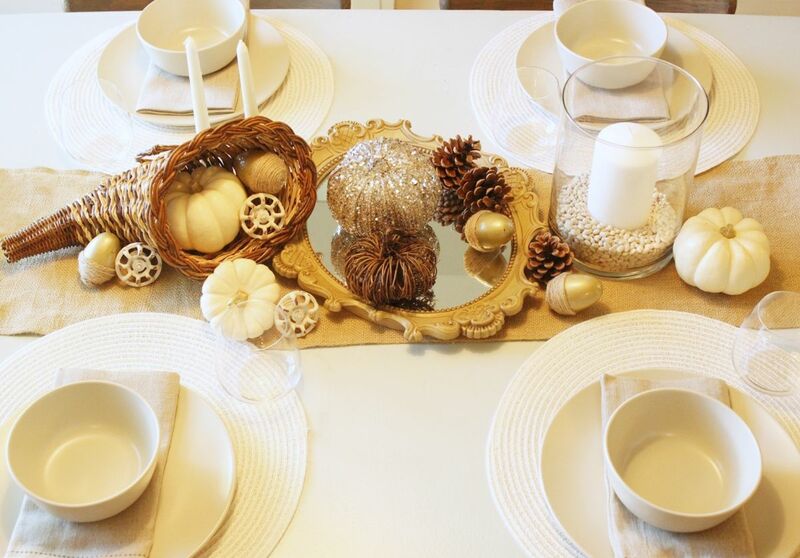 Another genuinely natural decoration you can use on your Thanksgiving table is some wheat or grass tops. 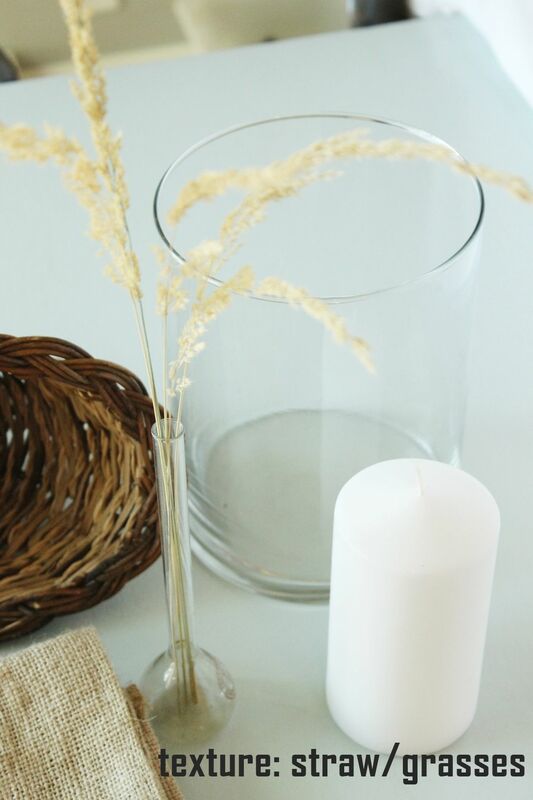 A few sparse tips can look wispy and sweet and lend your centerpiece a nice vertical touch; an armful of grass would look well out of a chunkier vase. Be sure to consider guests’ seasonal allergies with this. 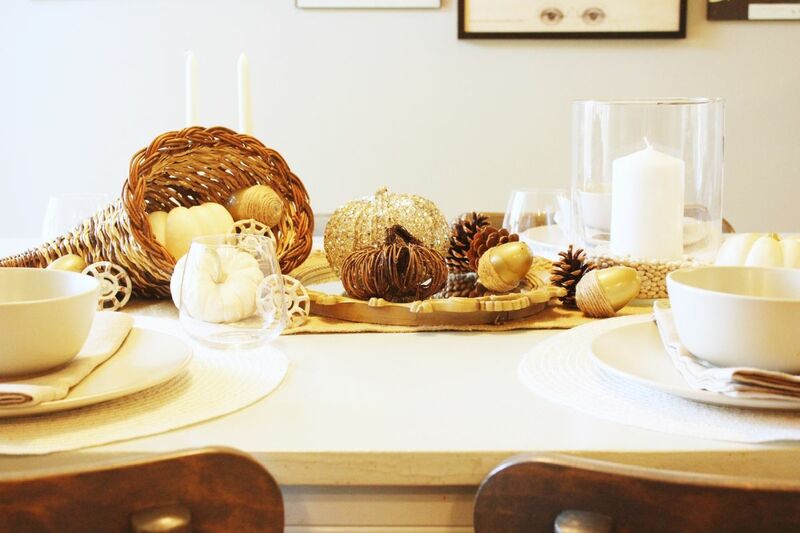 As you’re shopping your house or looking around town for some odds and ends to fill in the gaps on your Thanksgiving centerpiece, you might consider gravitating toward slightly rusted pieces. 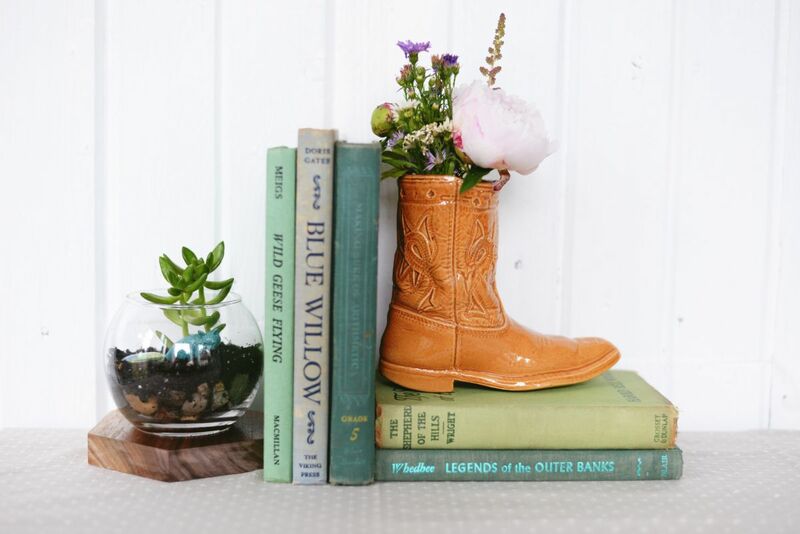 In the center of the table, these (even real rust) lend an authentically rustic appeal. You could stop there, with the texture and nature, and create a lovely rustic Thanksgiving centerpiece around the white pumpkins. And you could also look toward providing a little shine. 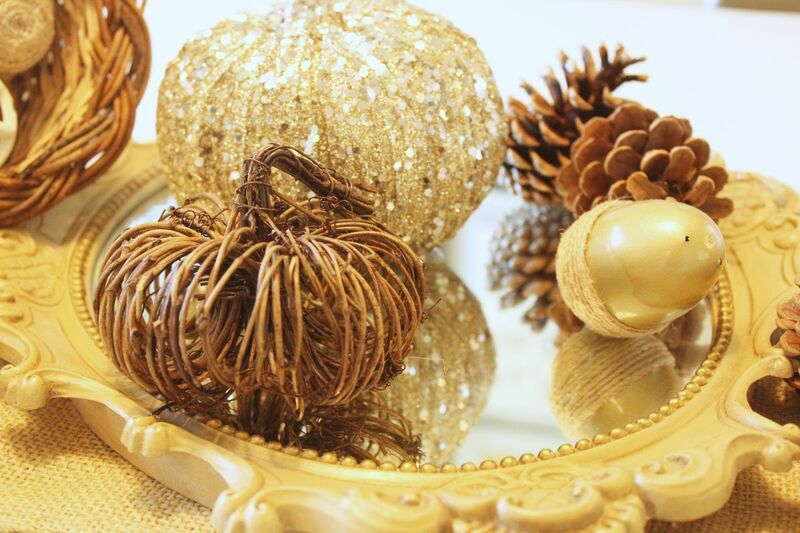 Something sparkly or shiny in the same color family as the rest of your rustic décor (e.g., this sequined craft pumpkin; or a gold spray-painted mini pumpkin) will go a long way in making the centerpiece look and feel more festive. Last but not least, a subtle way to add variations on sheen is to incorporate some clear glass – a vase or two, or even a mirror that can be laid flat. These maintain the au natural color palette, but they add an element of shine that’s important for many when dining. Now that you’ve gathered your items, it’s time to let the creativity kick in. 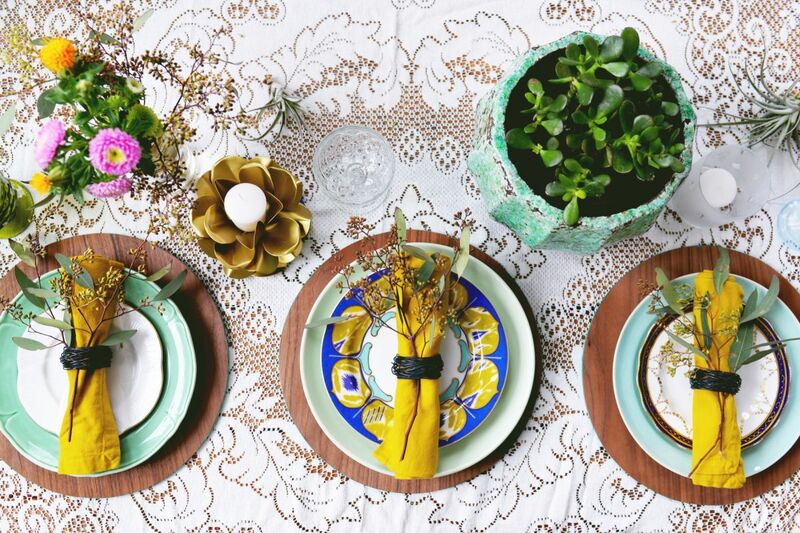 Start with your tablecloth and/or table runner. 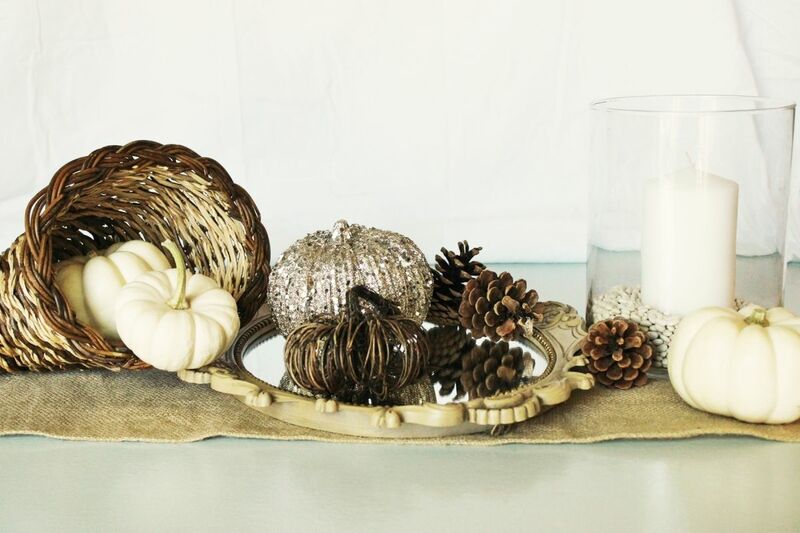 In this case, a burlap runner over the plain table is the foundation of the rustic Thanksgiving centerpiece. 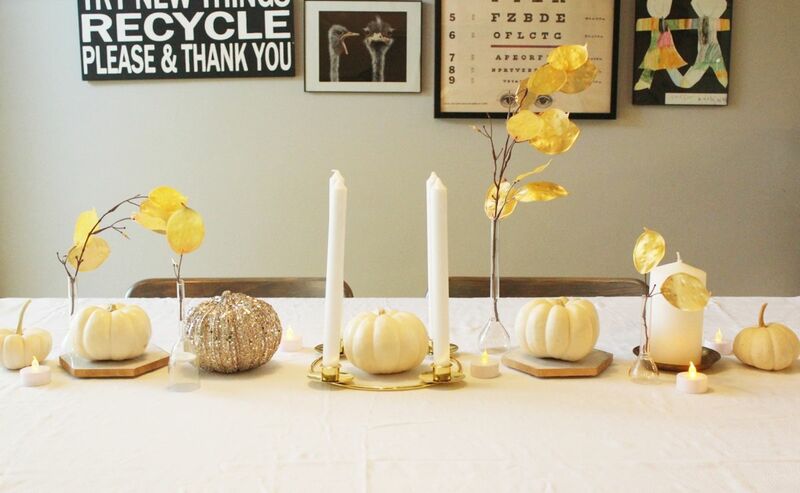 Following inspiration from this article about creatively decorating for fall with a simple white candle, choose something that will add a little height to your centerpiece. 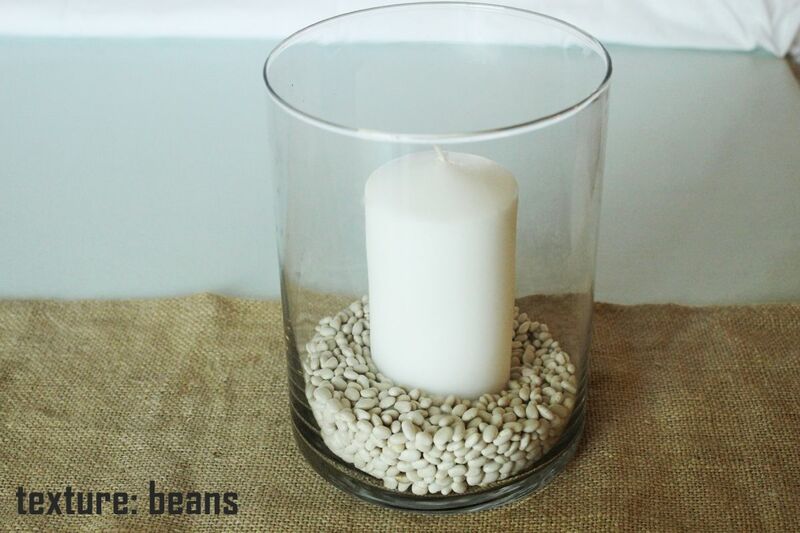 In this case, a clear glass apothecary with chunky white candle and small white beans starts us off. Making sure the white pumpkins are an integral part of the centerpiece, they are arranged casually here, “spilling” out of the cornucopia. Maintain balance by keeping the two larger decorating items (here, the cornucopia and apothecary) separated. 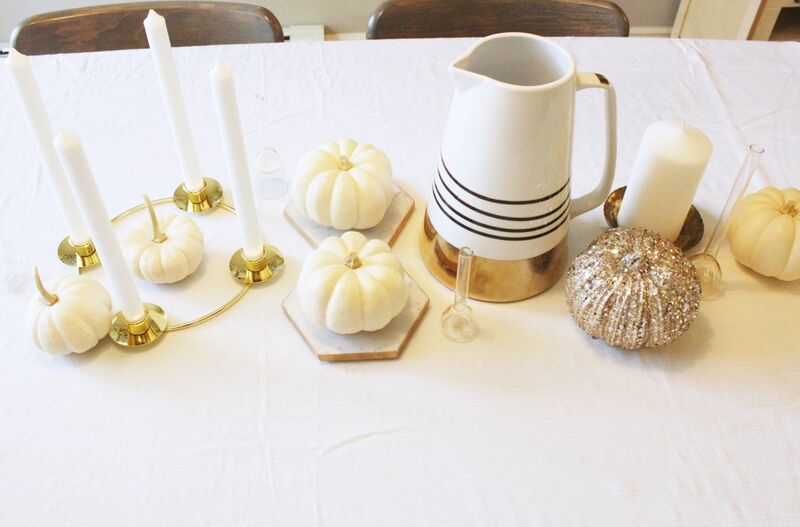 Spread the use of white pumpkins throughout the centerpiece so they can be a connecting “theme.” If you live by the adage, “less is more,” you might be done here and now with your Thanksgiving centerpiece. If you want a bit more, though, for your holiday feast, consider laying a mirror or other shiny object flat on the table. Take care to pair a shine with a texture to maintain balance. Particularly when the shine is reflective (like a mirror), and that reflection highlights texture, you’re getting quite a bang for your textural buck. 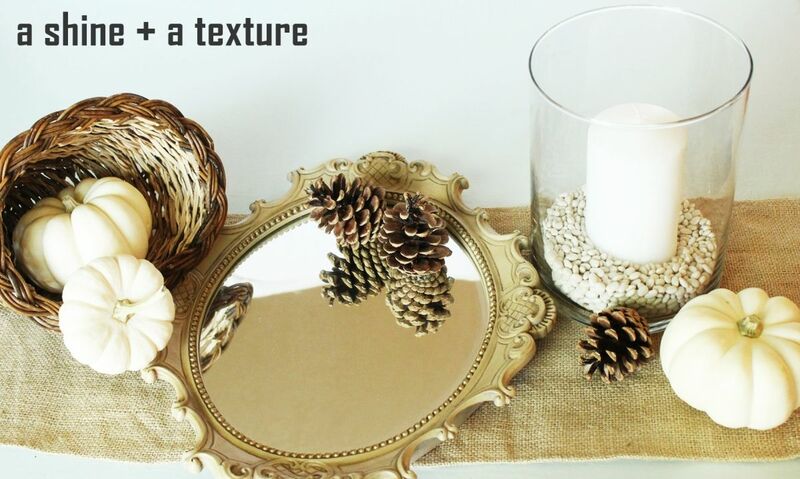 With the cornucopia and the pinecones together, there is a visual mass of natural texture that, while pretty, feels a little heavy. Break up such masses (even when the textures are different, they still read as the same) with something opposite. 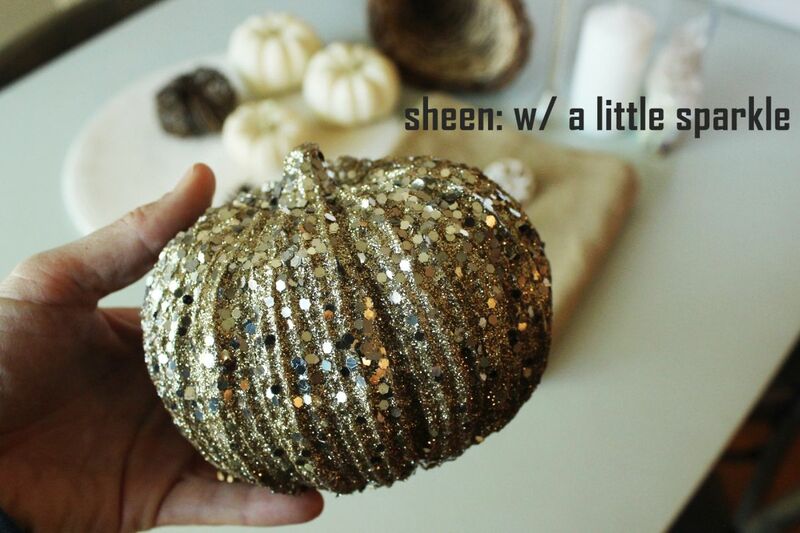 In this case, a sequined gold pumpkin. In an effort to balance lights and darks across the length of the centerpiece, some white rusted wagon wheel cabinet pulls were grouped with the cornucopia, while pinecones are positioned more heavily on the side with white candle, white beans, and white pumpkin. Another detail to consider is the balance of large and small, light and dark, and textured and smooth. 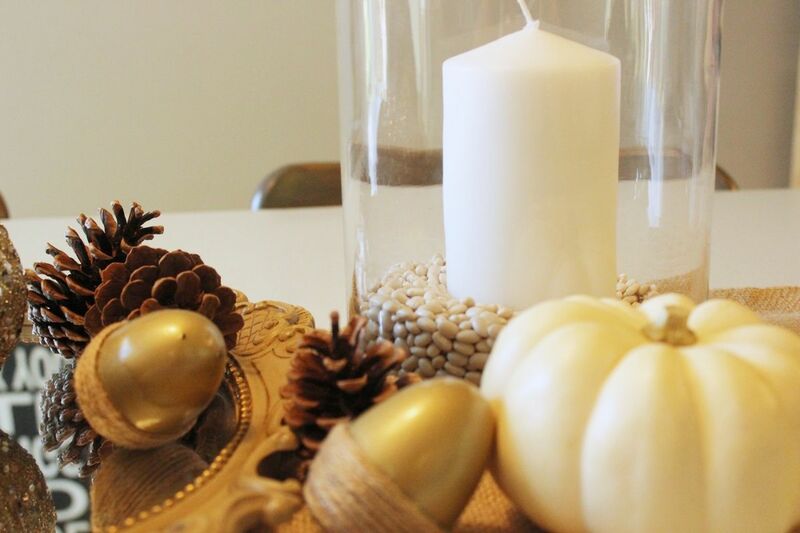 These DIY acorns fit nicely into the centerpiece to fill in some white space gaps. Again, this is a preference thing – you could add more or take away items shown here to suit your tastes. There’s something delicious, to me, about two pumpkins sitting side by side – one all blinged out, and the other woven out of grape vines. And, neighboring these, a genuine pinecone and an artificial acorn. I love the groupings of this. The horn of plenty (cornucopia) is particularly fun to decorate, as it looks best when stuffed-to-overflowing. 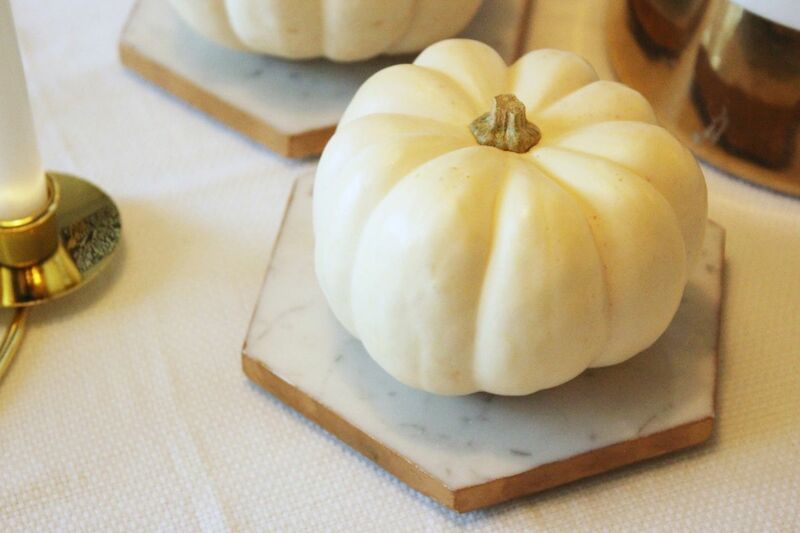 And our mini white pumpkins are a perfect host for all the things. Natural, elegant, distinct, smooth, and perfectly proportioned to the centerpiece. 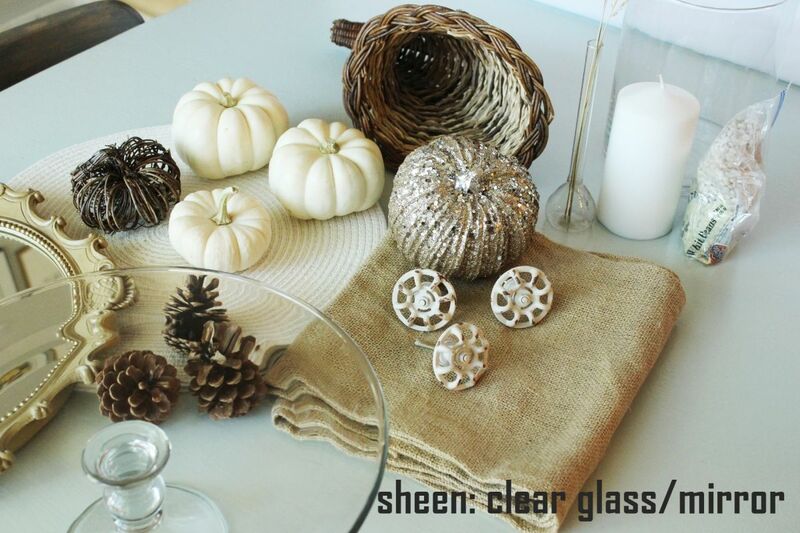 Some simple place settings will complete the rustic Thanksgiving centerpiece. Doesn’t it just feel like home? Happy rustic, organic, earthy, modern Thanksgiving. 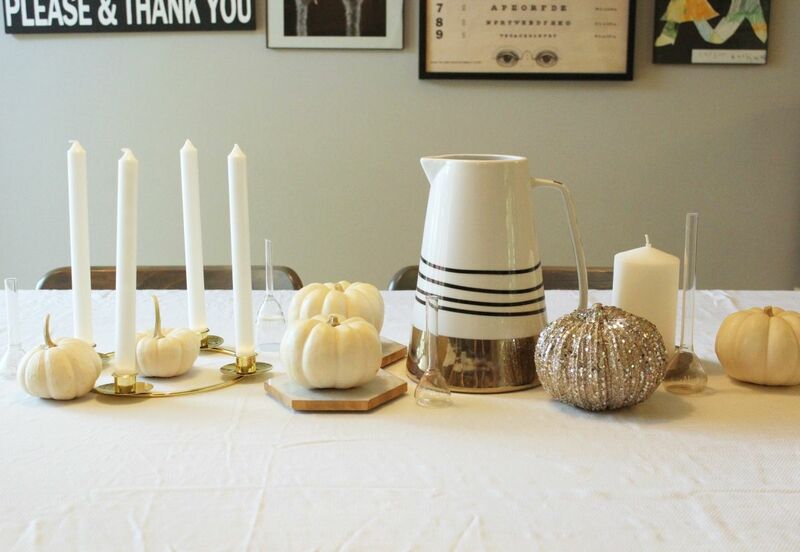 If you want to give your Thanksgiving table a little more classic and/or formal aesthetic, your white pumpkins will serve you well. 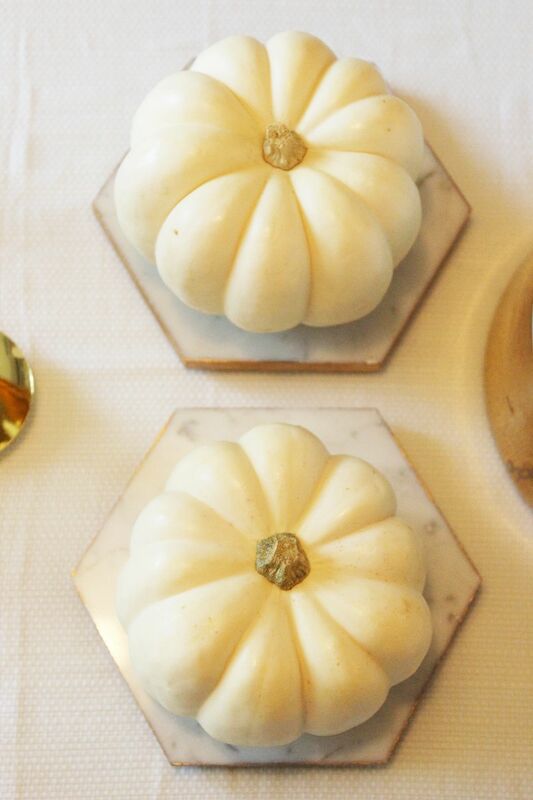 Setting the pumpkins on some sort of “mount” (like these super simple gold leaf marble hex trays) will make them look more formal and more elegant, without removing their autumnal soul. 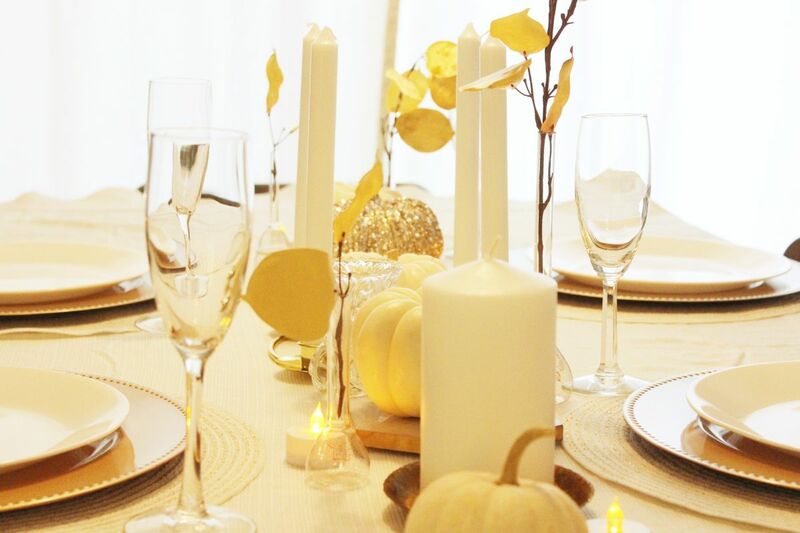 A color scheme to give the centerpiece a more refined look is quite simple: white and gold. 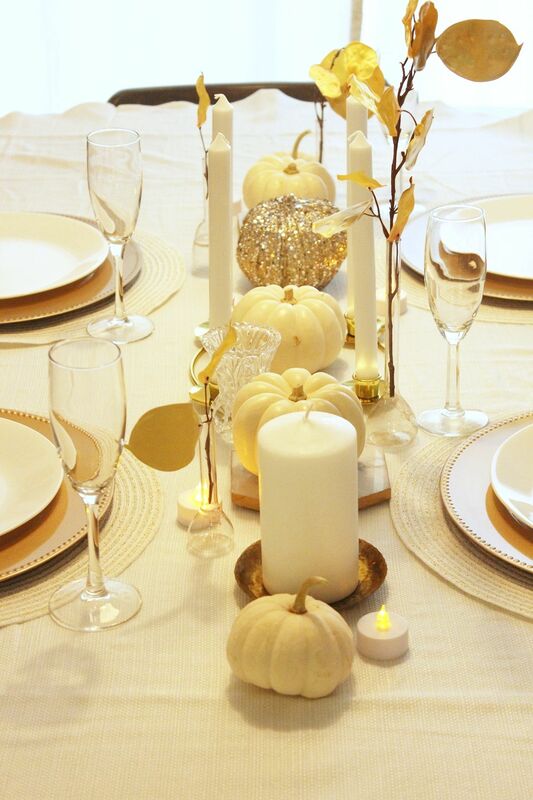 Mix your white pumpkins in with the gold objects, like gold candlesticks. 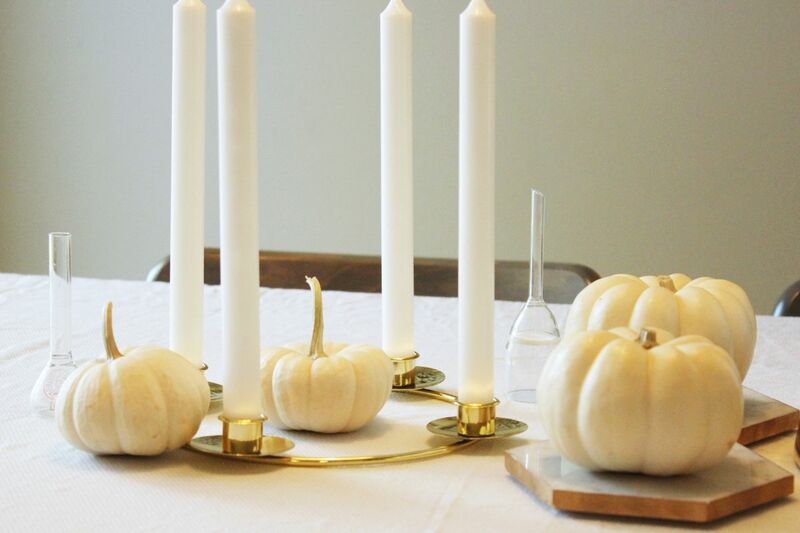 I’m telling you, these white pumpkins are incredibly versatile. They move well in any crowd. If you have tapers on candlesticks, you’ll want to incorporate another object with some height (unless the candles are centered in the centerpiece). A large pitcher or vase will do the trick. If you have large white hydrangea blooms to fill in the top, that would be even better. To be honest, there was something about that large, chunky, empty pitcher that didn’t speak to me for a more elegant Thanksgiving centerpiece. If you like the look, great – let it inspire you for this year’s feast. Centering the tallest object, in this case the white taper candles, you can place objects and work your way outward. 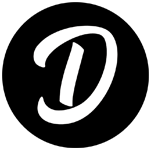 Use some sort of symmetrical variance – go from tallest to shortest, or most visually significant to least, or darkest to lightest, or something. But use this as a guideline; it doesn’t have to be too structured. 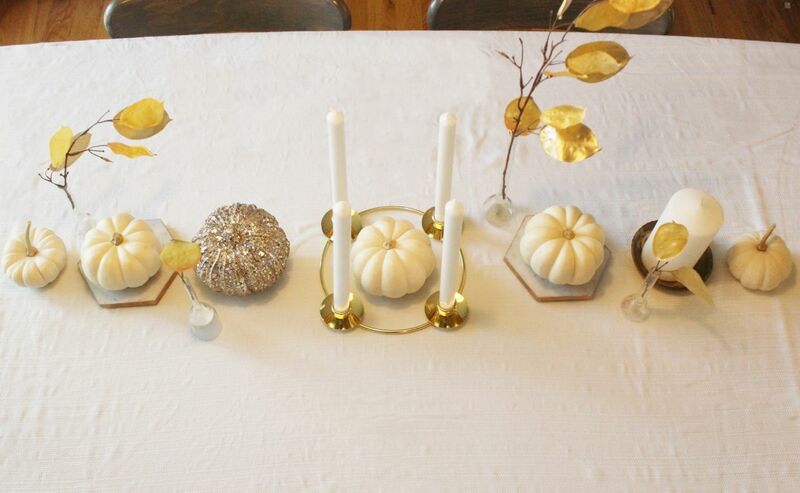 When you set the table for Thanksgiving with such a centerpiece, you might like simple, light settings…with a hint of gold. These larger platter plates were found this year at a dollar store, and I like the structure they give the table. 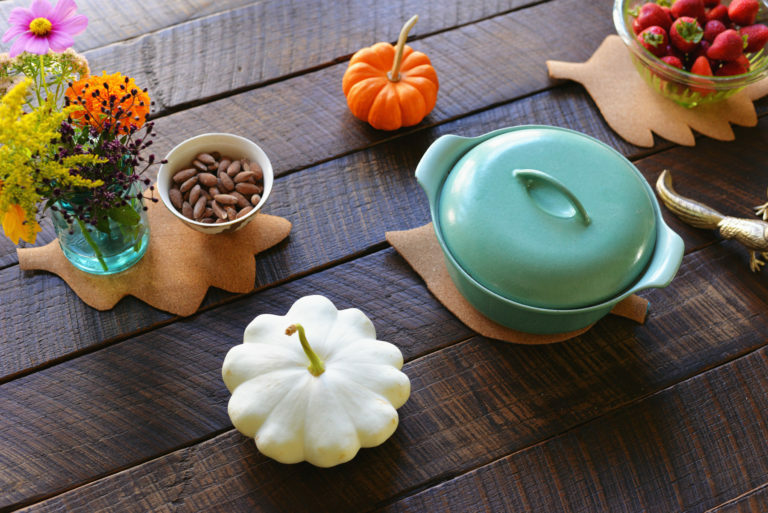 While the centerpiece can set the stage and be a talking point, it’s really the company and love that makes Thanksgiving what it is. But a beautiful Thanksgiving centerpiece goes to show your guests just how you feel about them, and it sets the meal apart as something special. And to think it all started with a few mini white pumpkins. 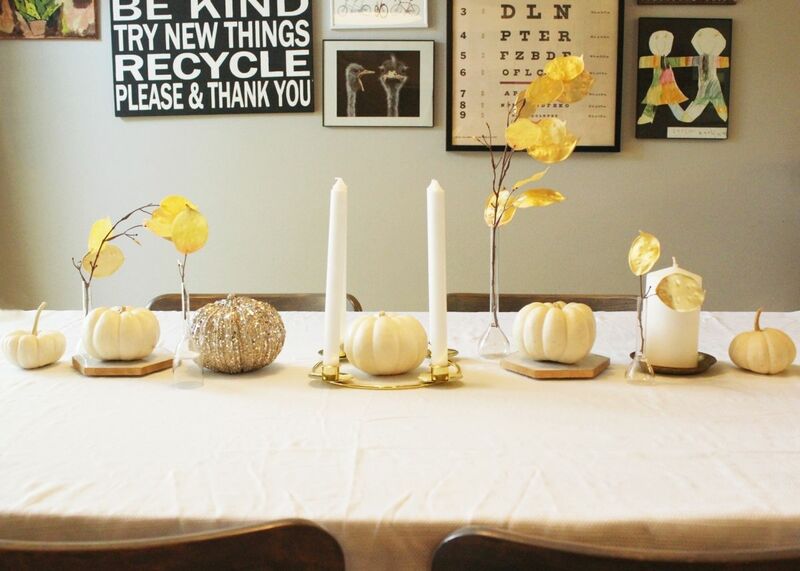 You're reading Thanksgiving Centerpieces starring White Pumpkins , originally posted on Homedit. If you enjoyed this post, be sure to follow Homedit on Twitter, Facebook and Pinterest.